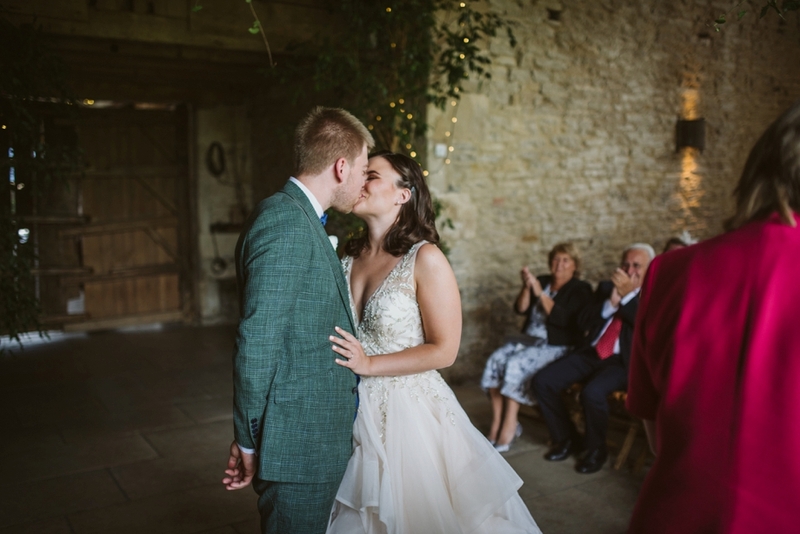 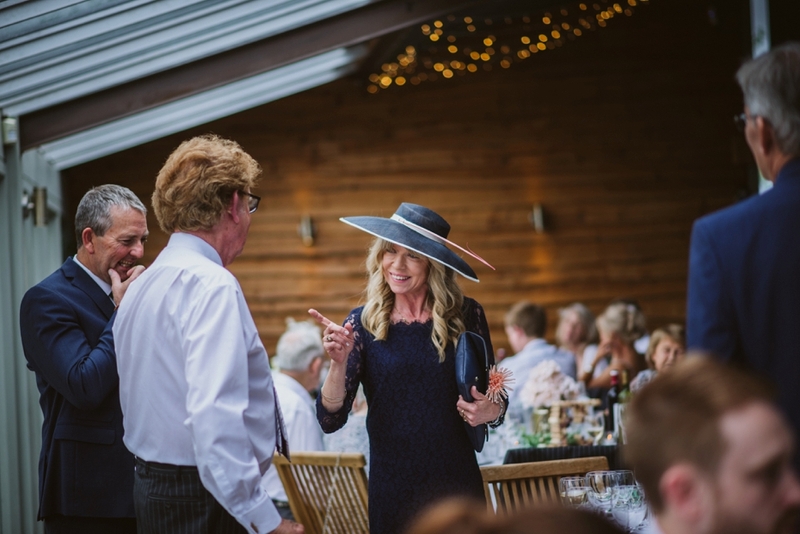 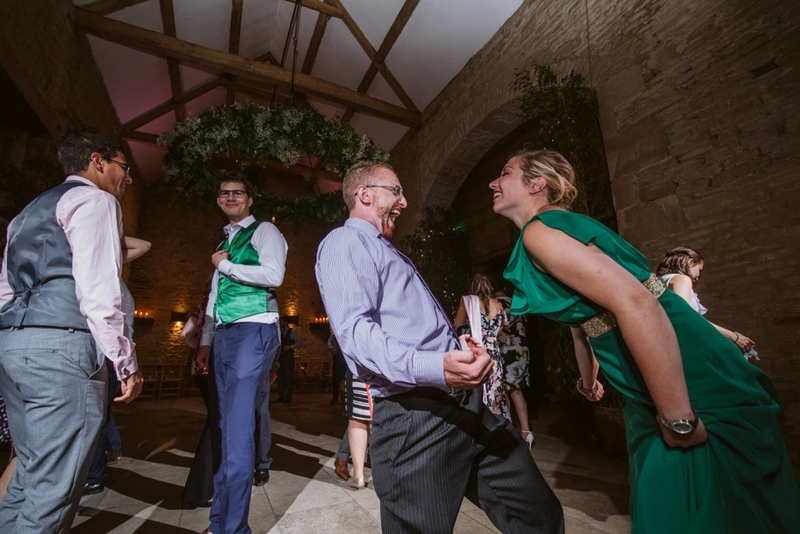 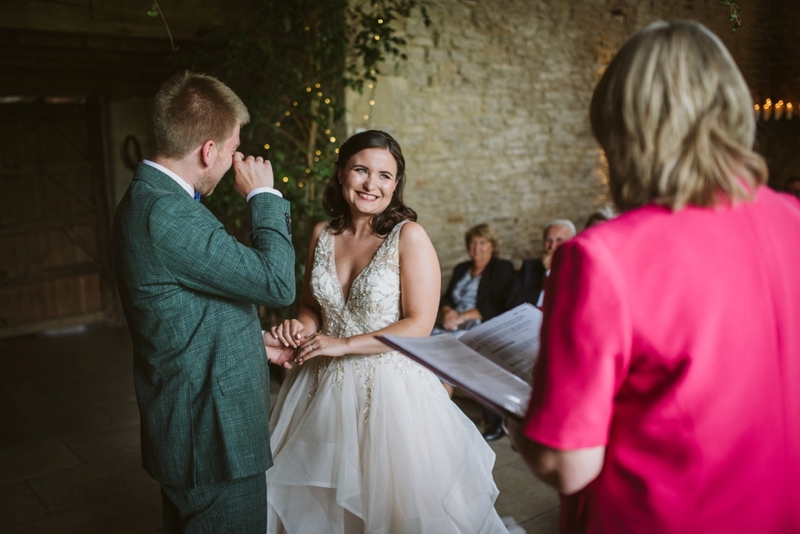 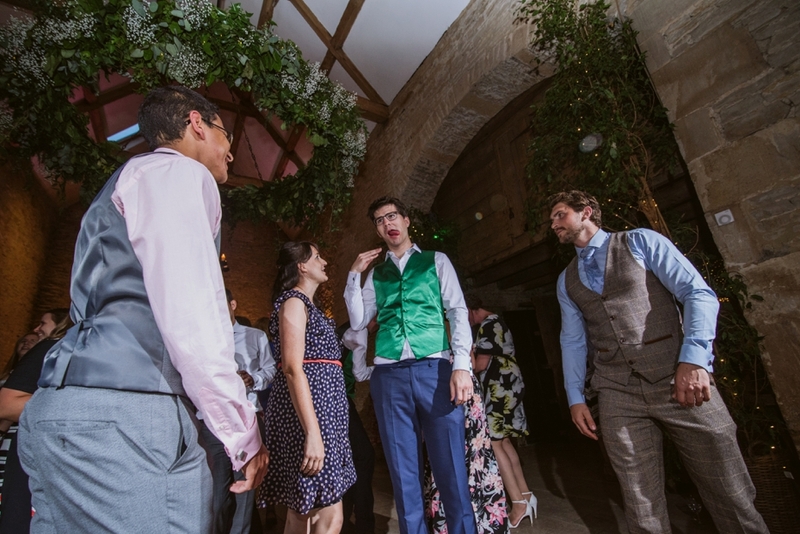 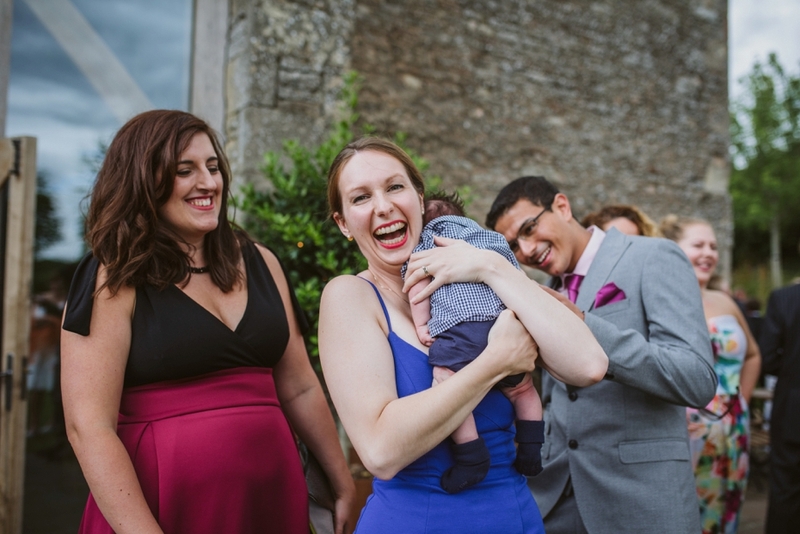 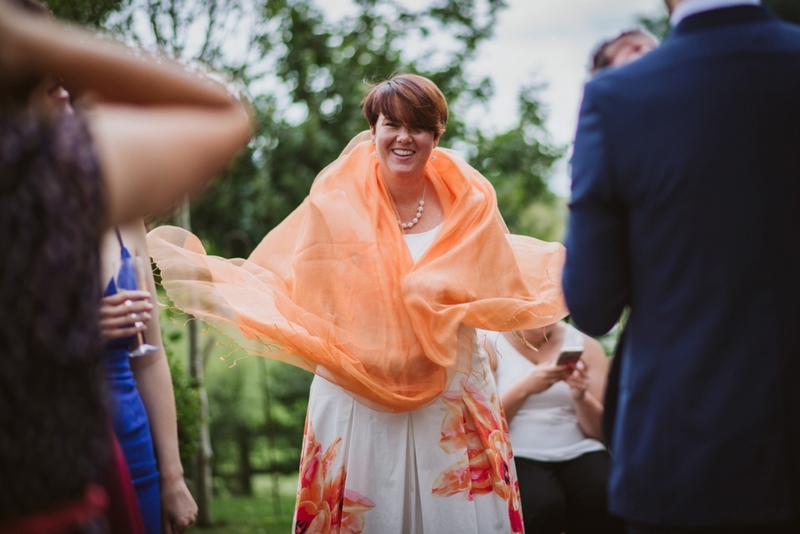 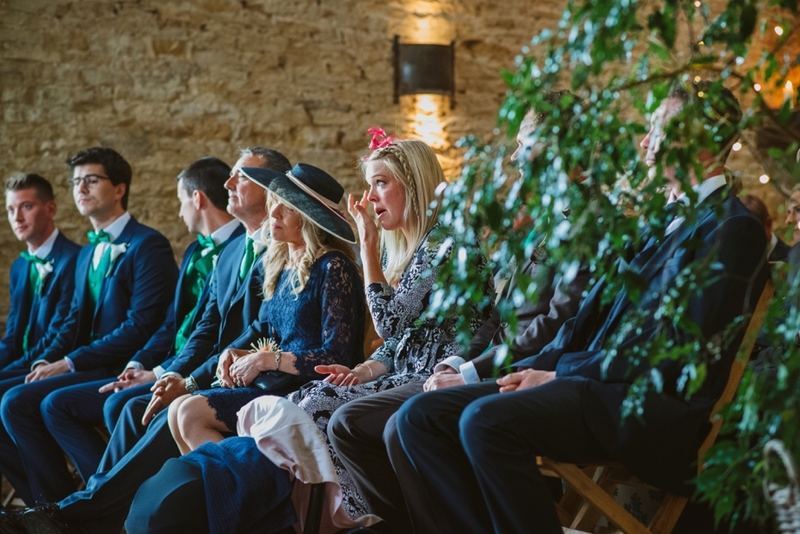 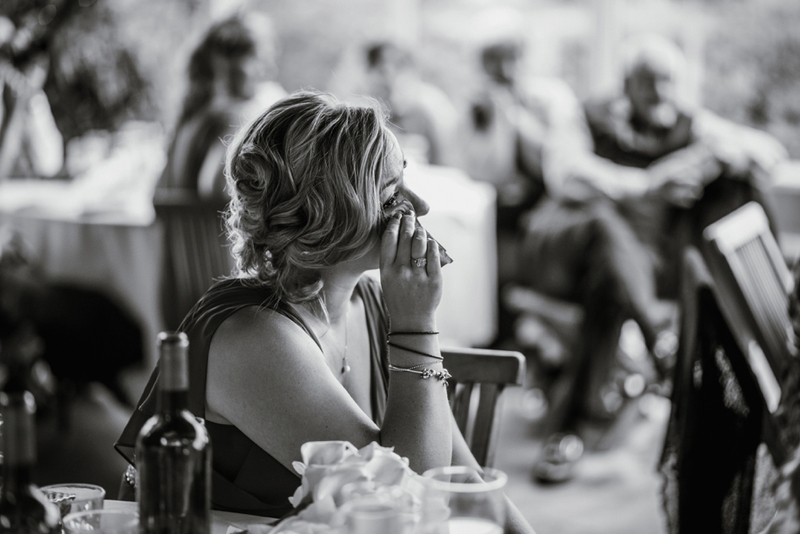 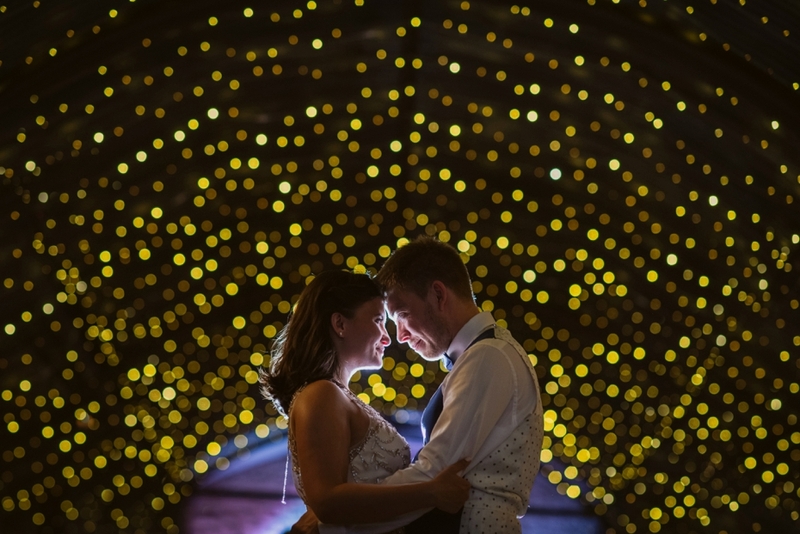 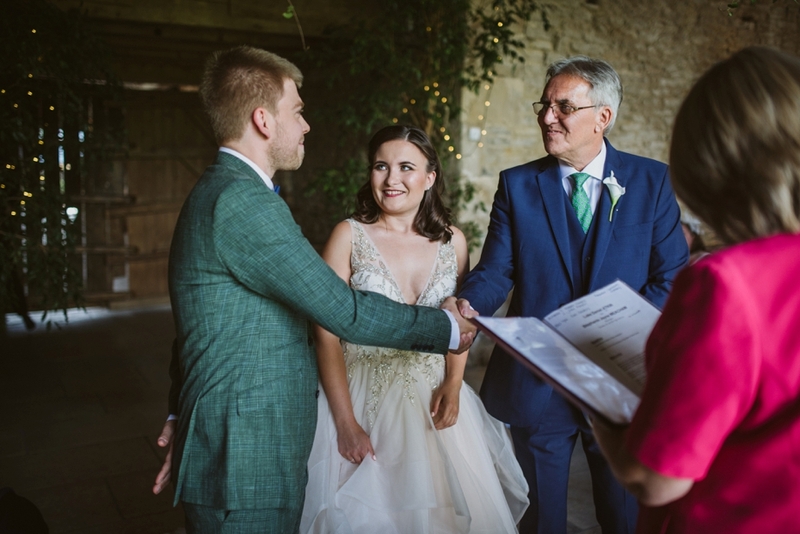 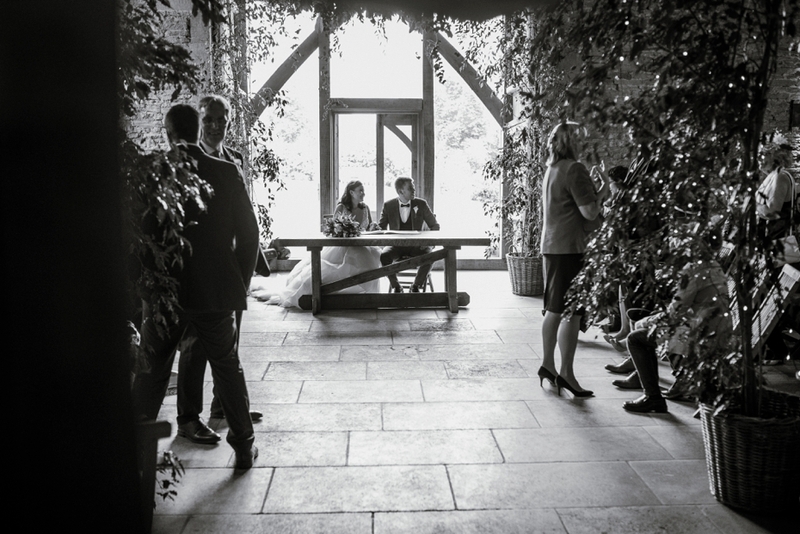 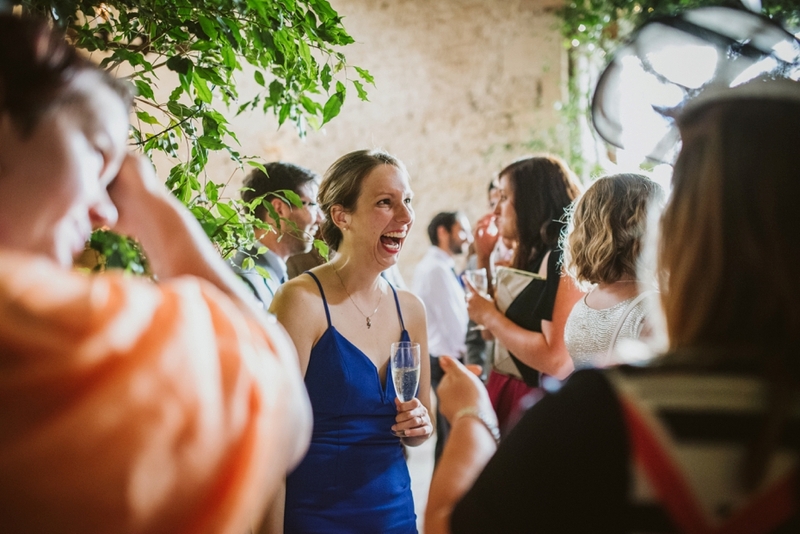 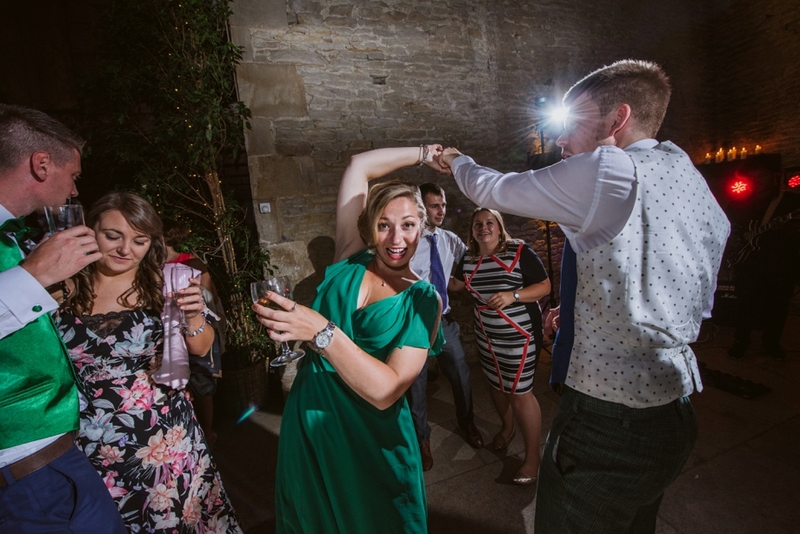 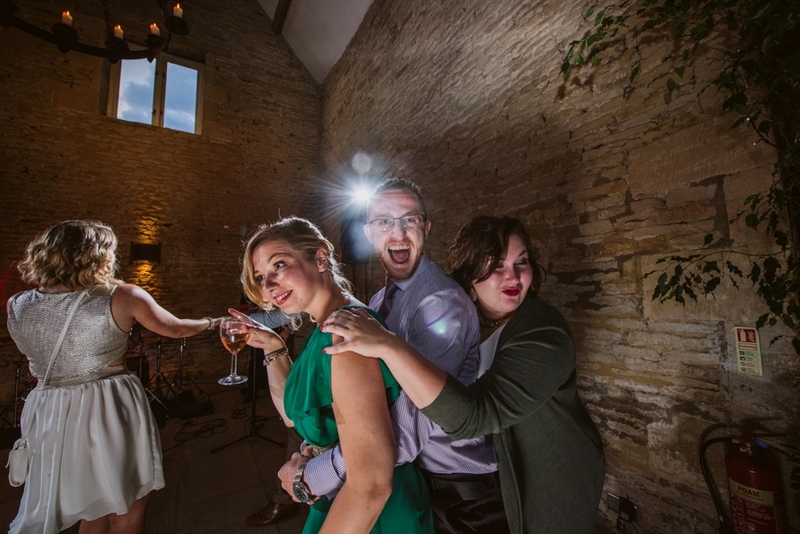 A few weeks back I was in the Cotswolds for a fabulous Cripps stone Barn wedding with the lovely Steph and Luke. 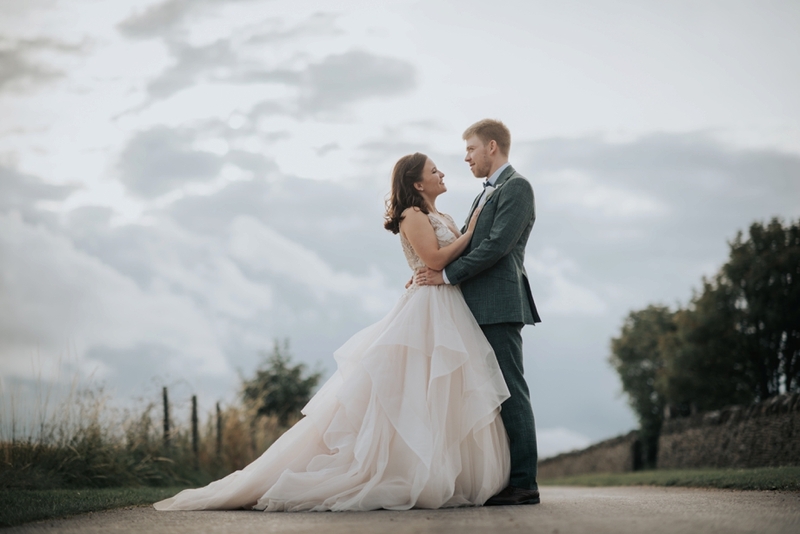 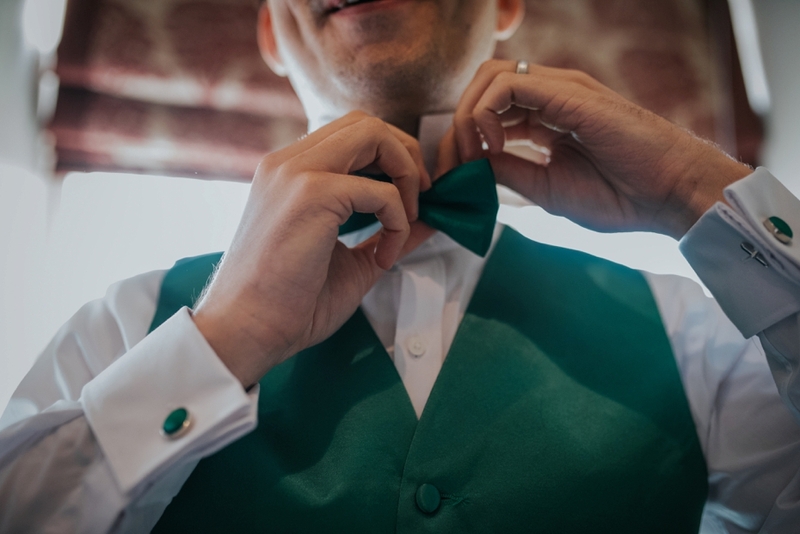 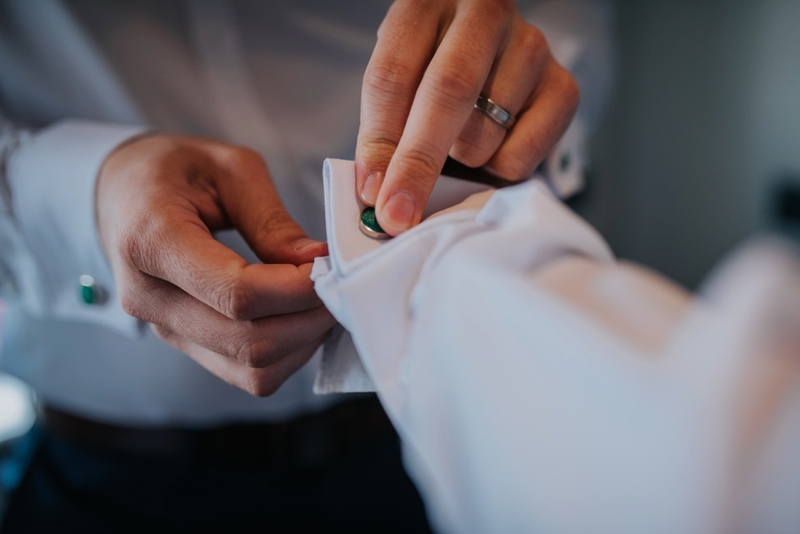 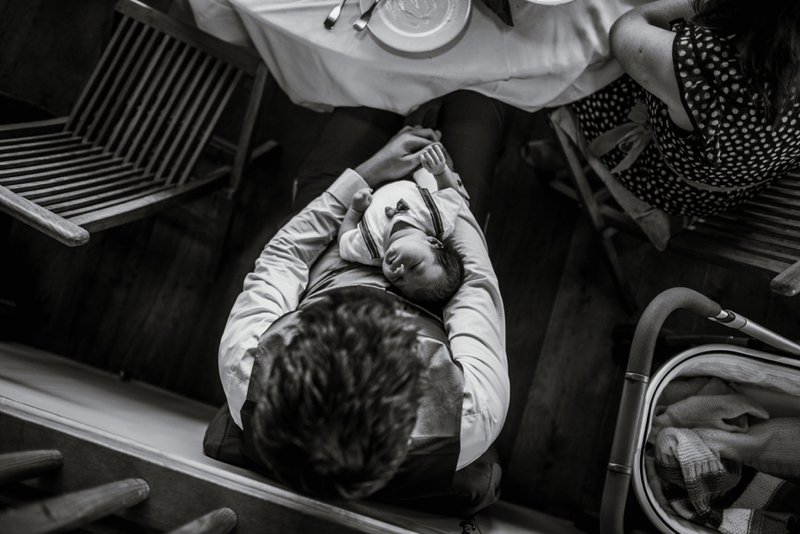 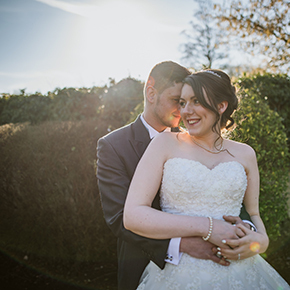 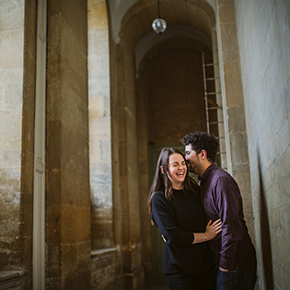 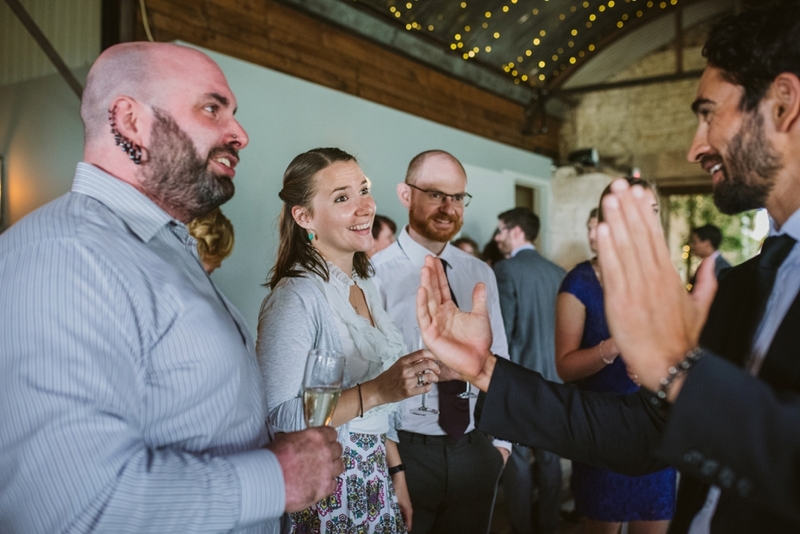 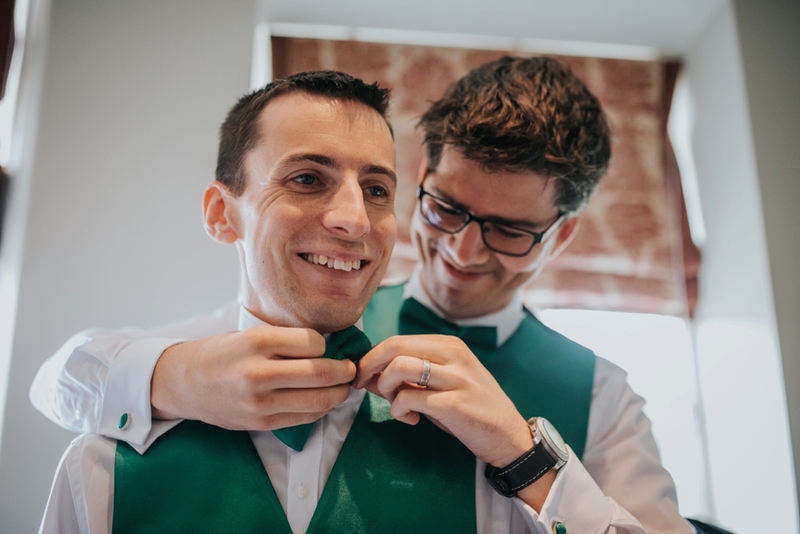 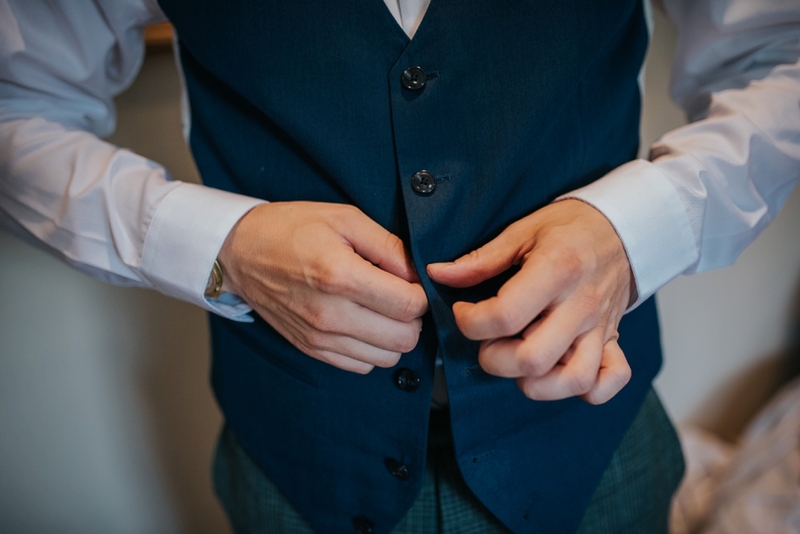 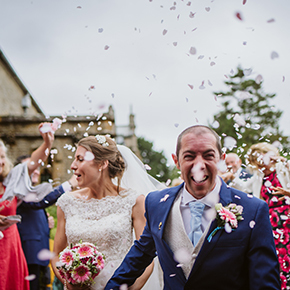 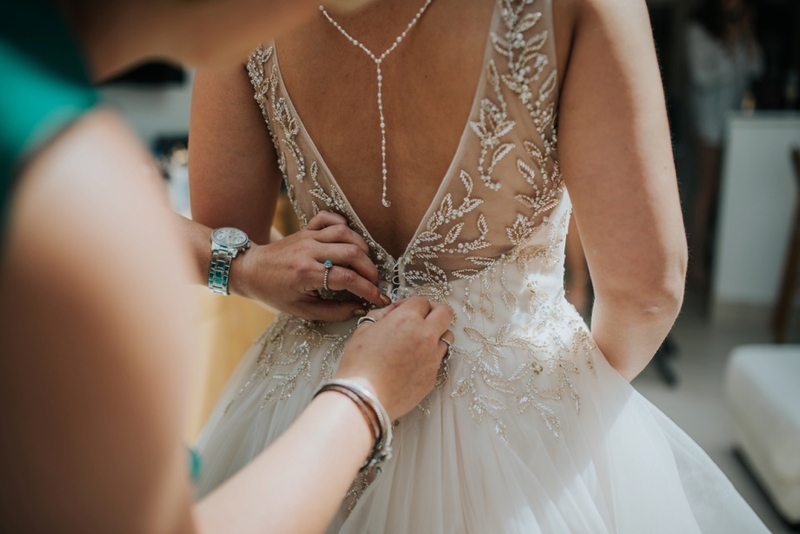 You may remember Steph and Luke from a previous post, where we met up before the wedding at the Reed business school in the Cotswolds to take their pre wedding photos. 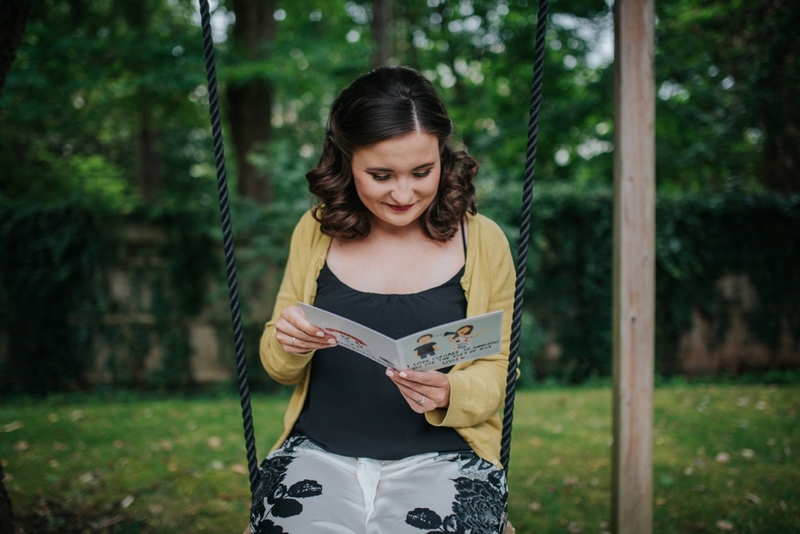 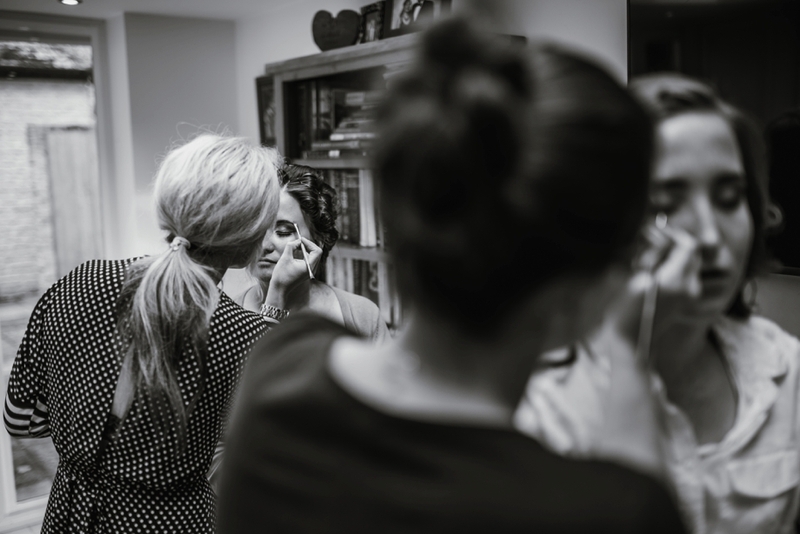 You can see that post Here if you would like to take a peek. 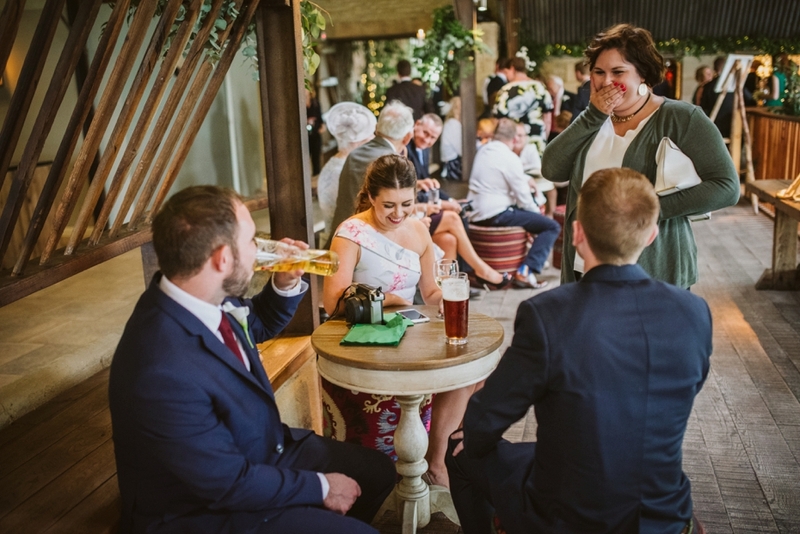 I first met Steph and Luke last year in the Turnpike pub in Yarnton to have a chat and show them some of my recent work. 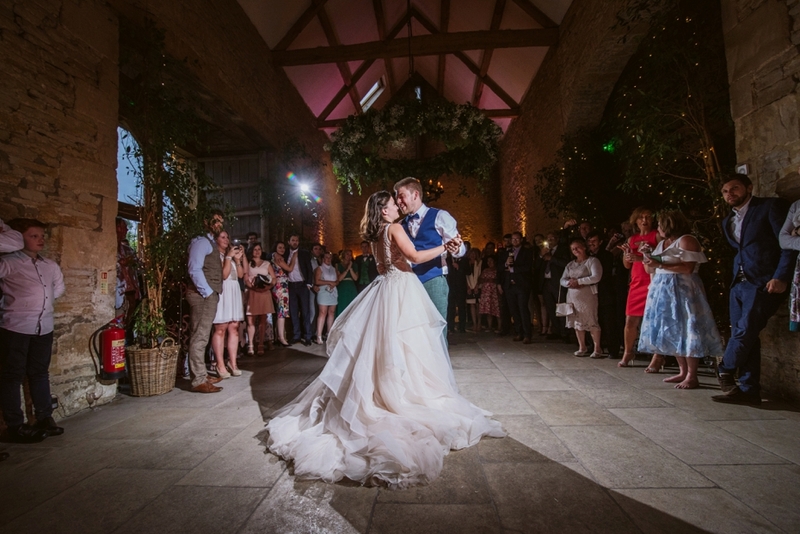 They were due to get married the following year at Cripps Stone Barn. 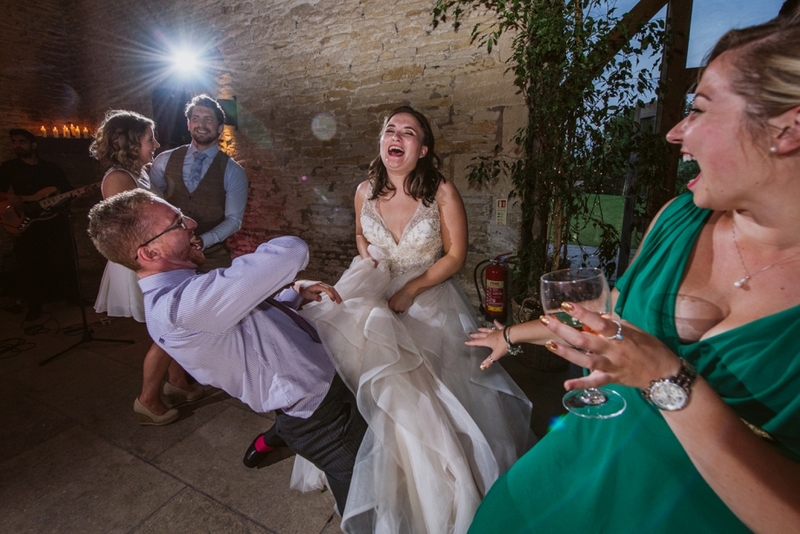 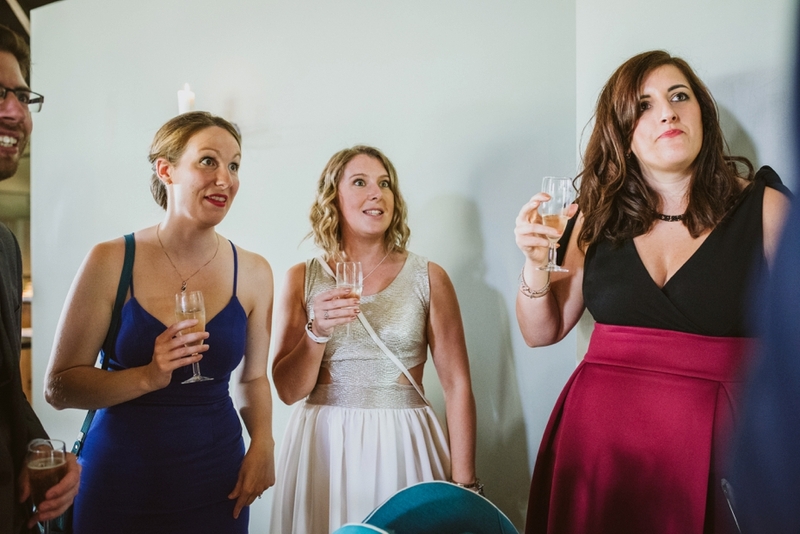 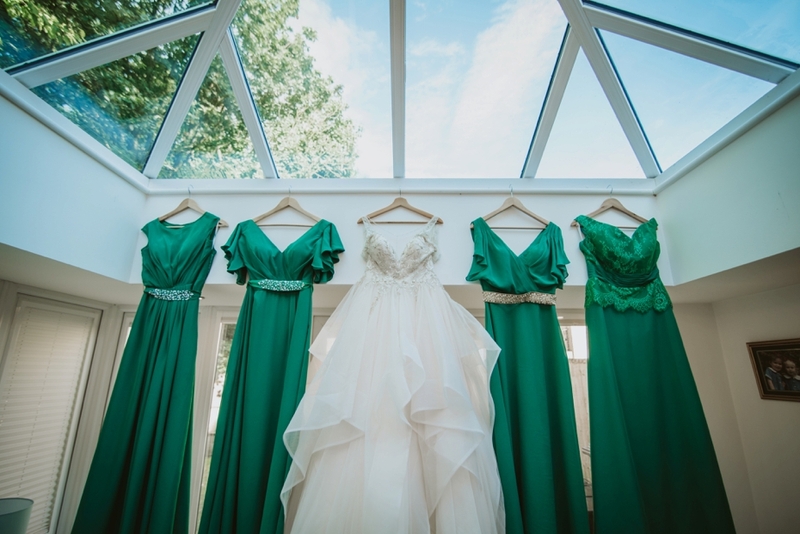 The wedding sounded fab and I was so pleased when they decided they would love me to be their wedding photographer. 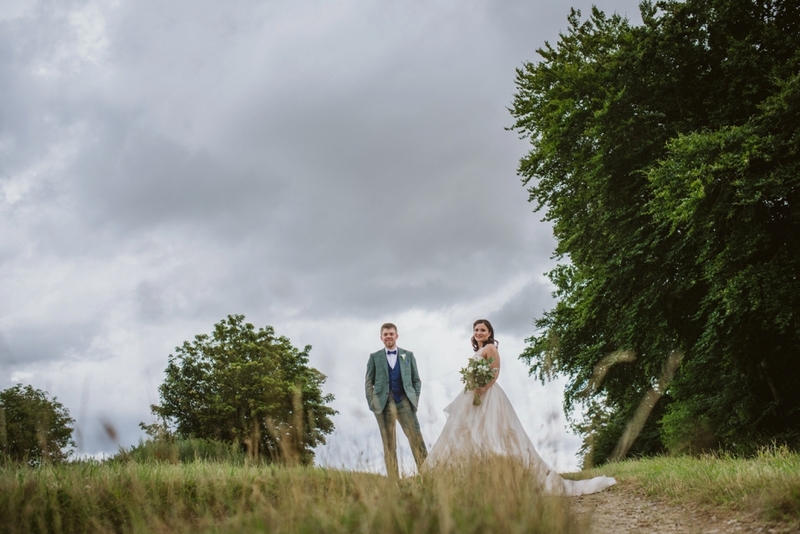 The morning of the wedding was lovely and sunny with the promise of a little rain later in the day. 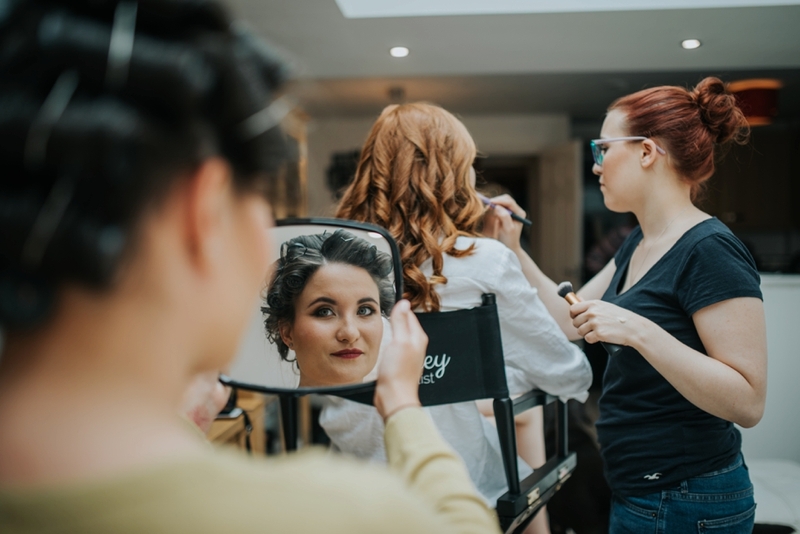 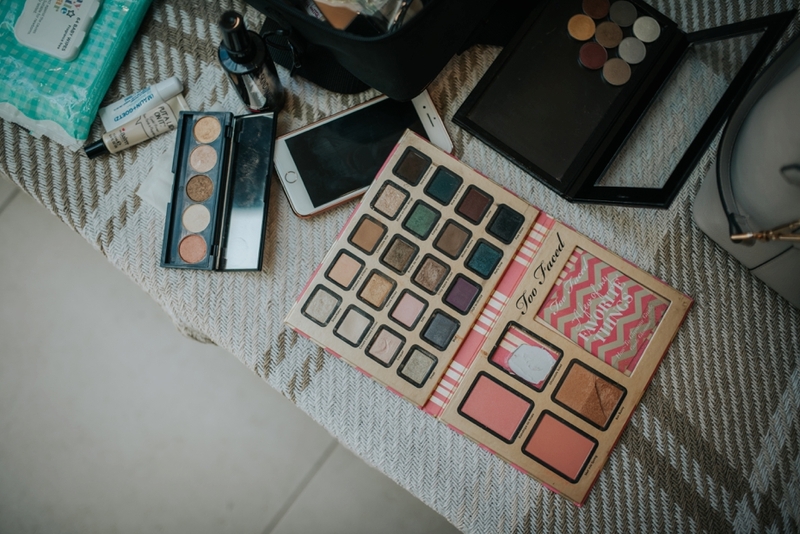 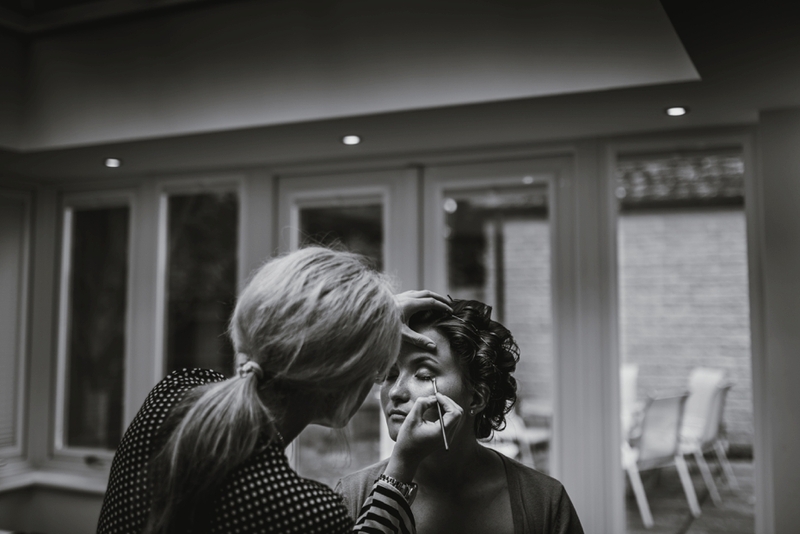 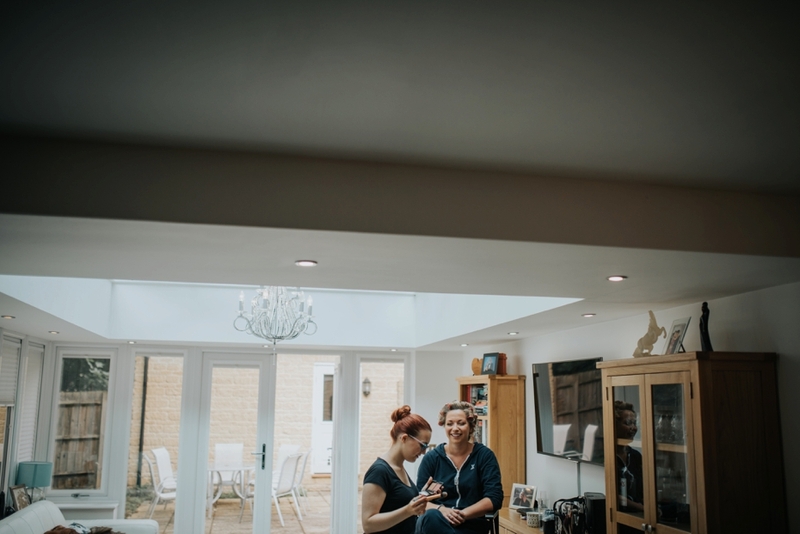 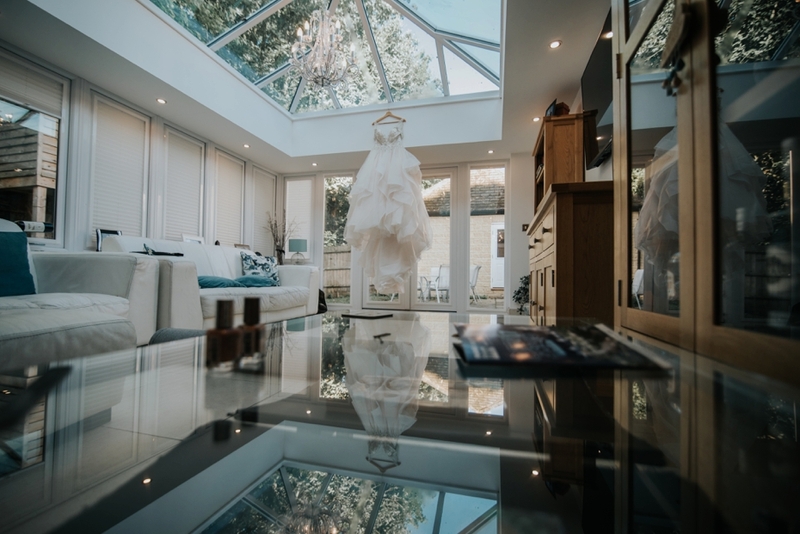 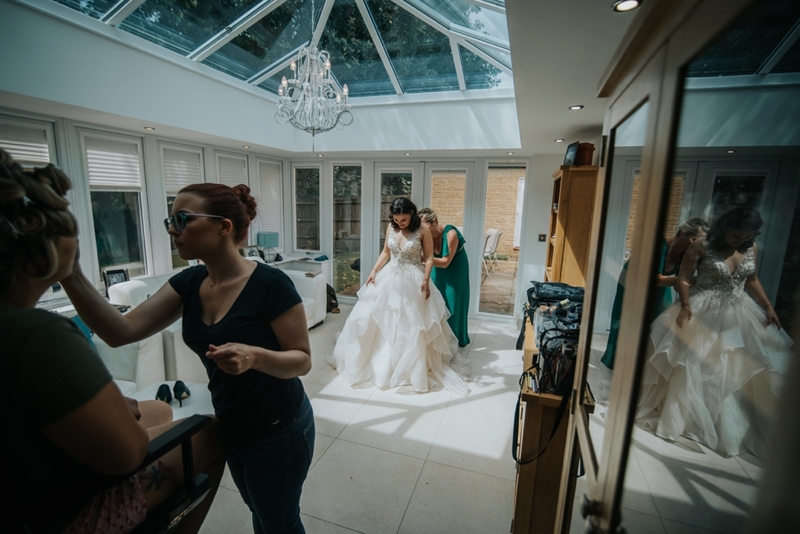 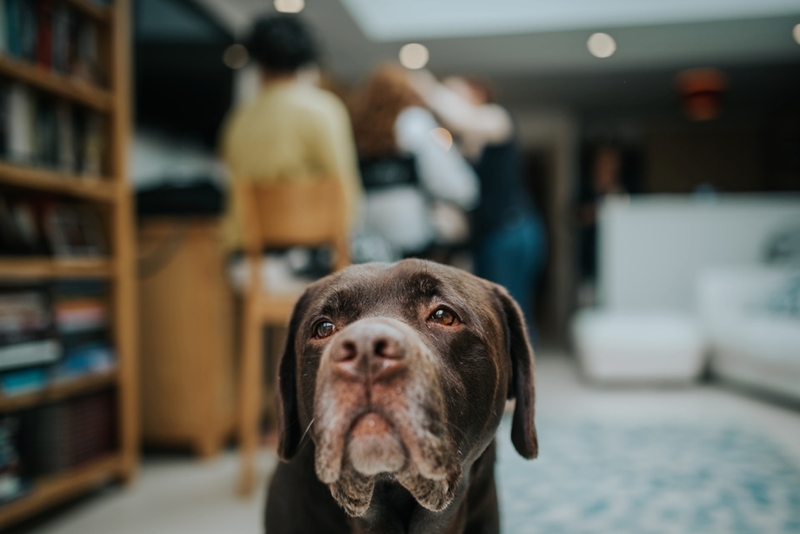 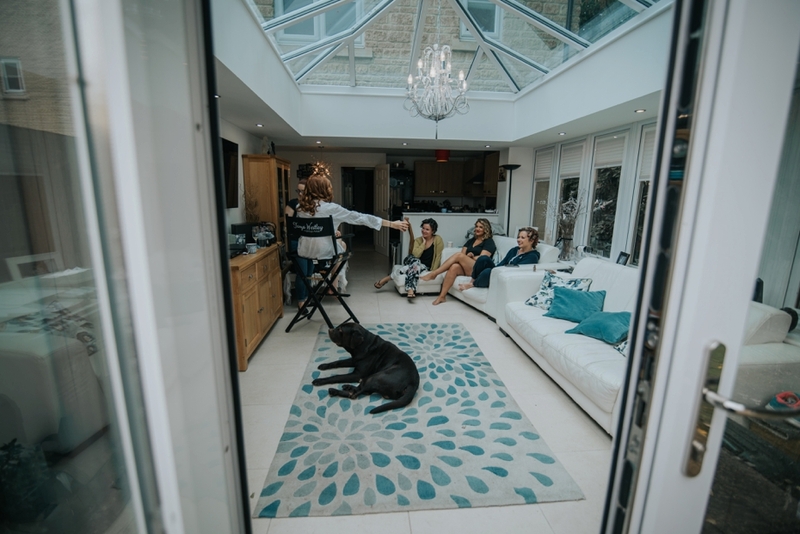 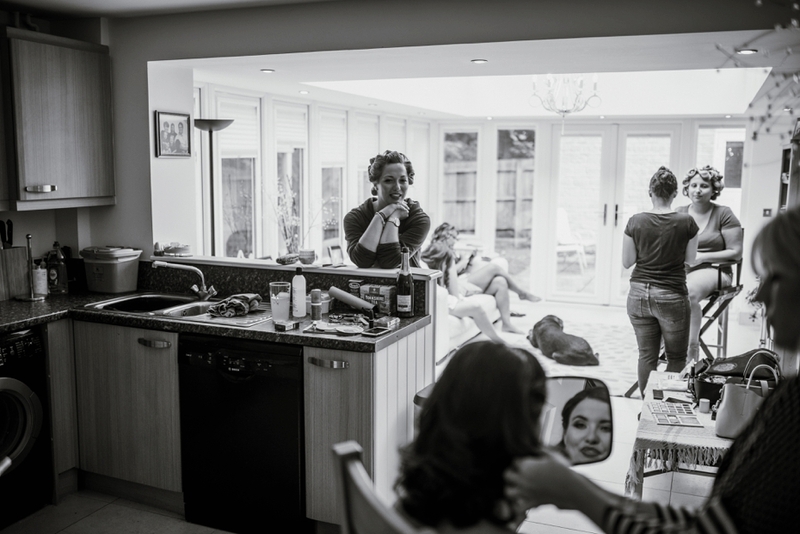 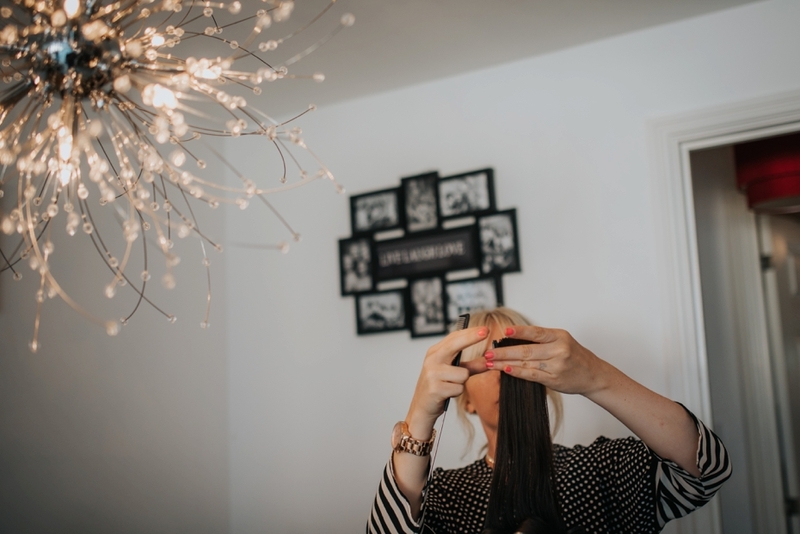 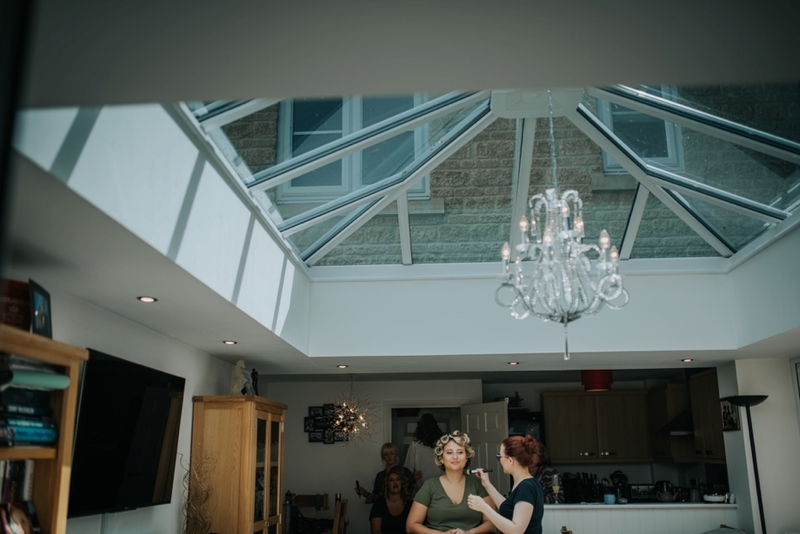 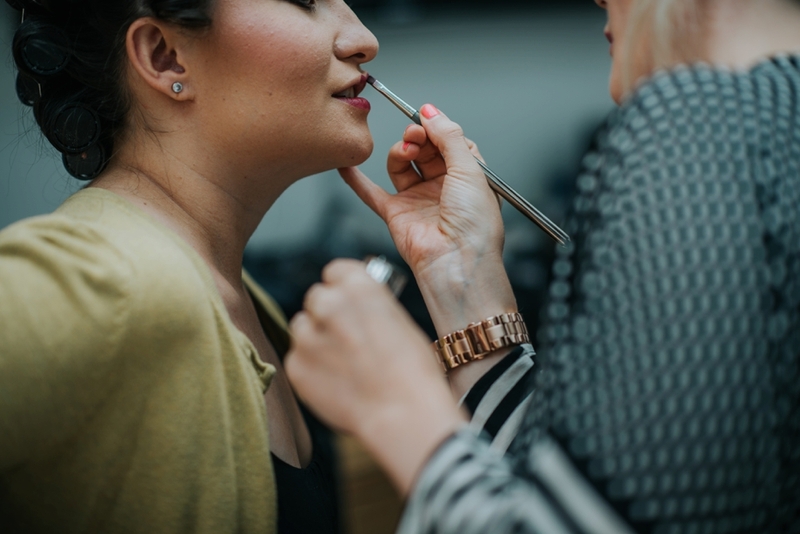 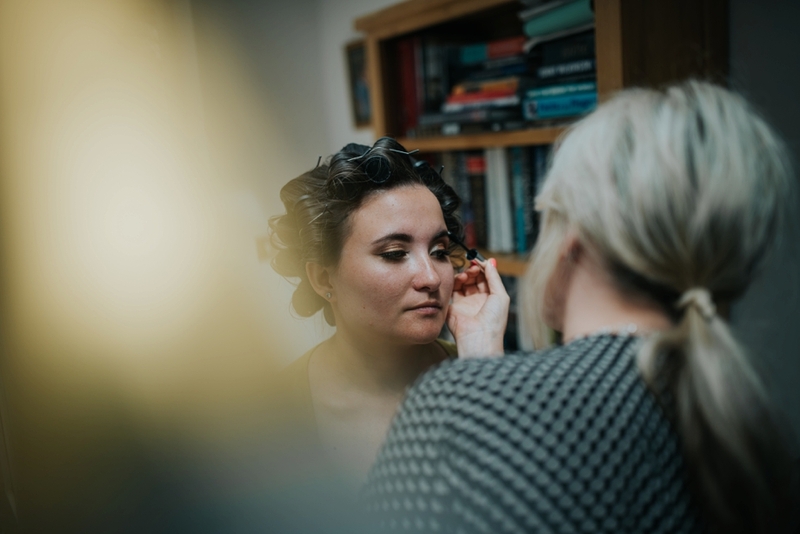 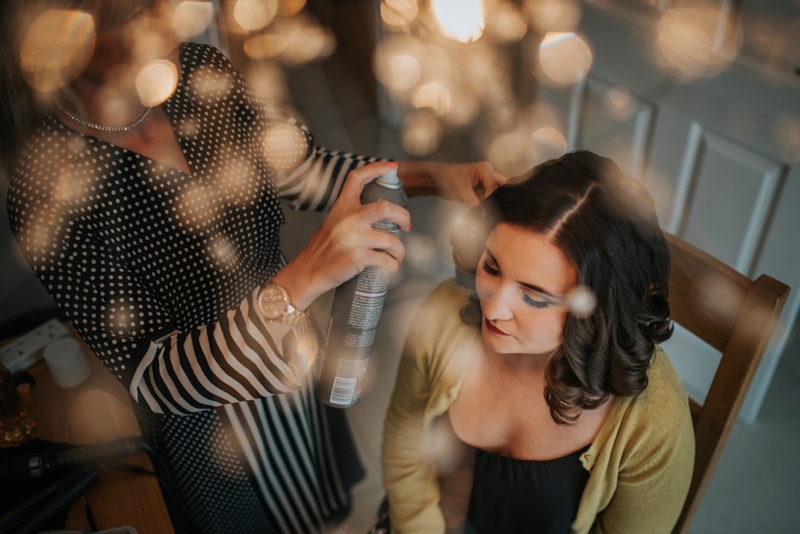 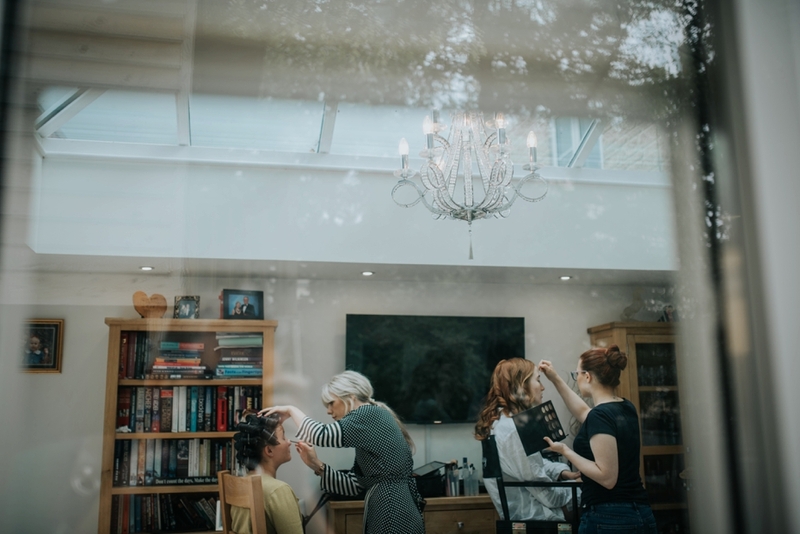 Steph and the girls were getting ready at her fathers house in Witney and I arrived early to start capturing the preparations. 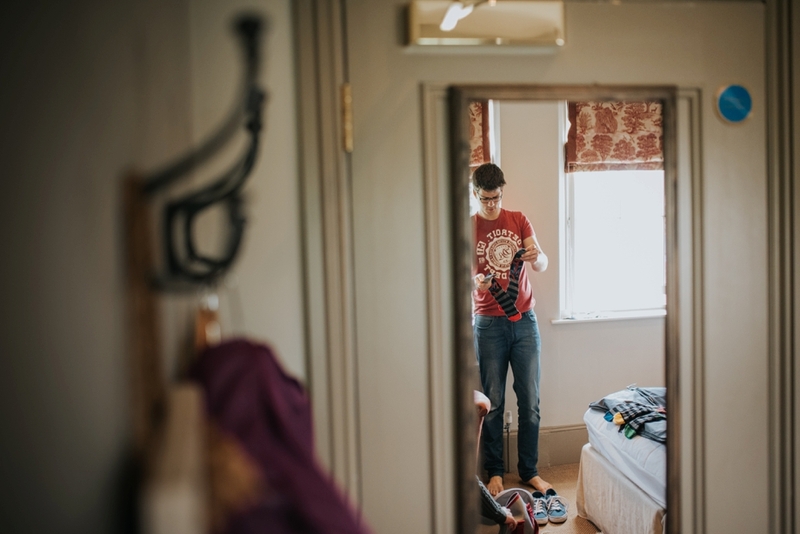 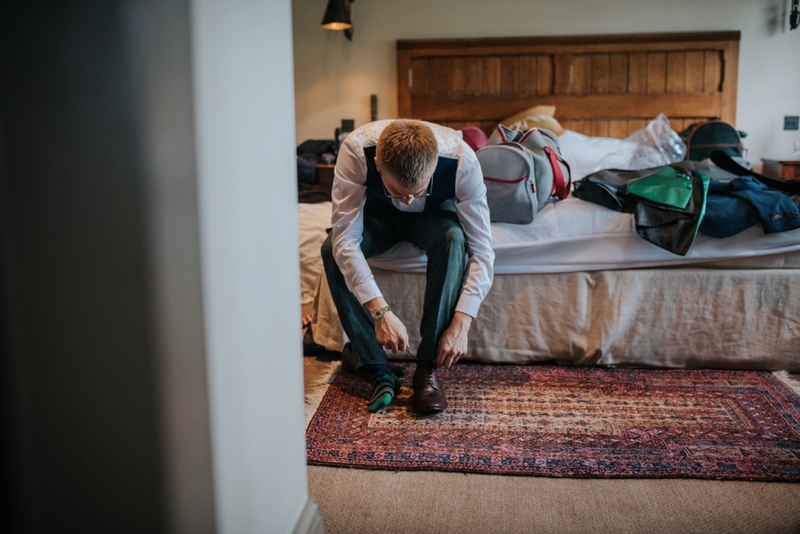 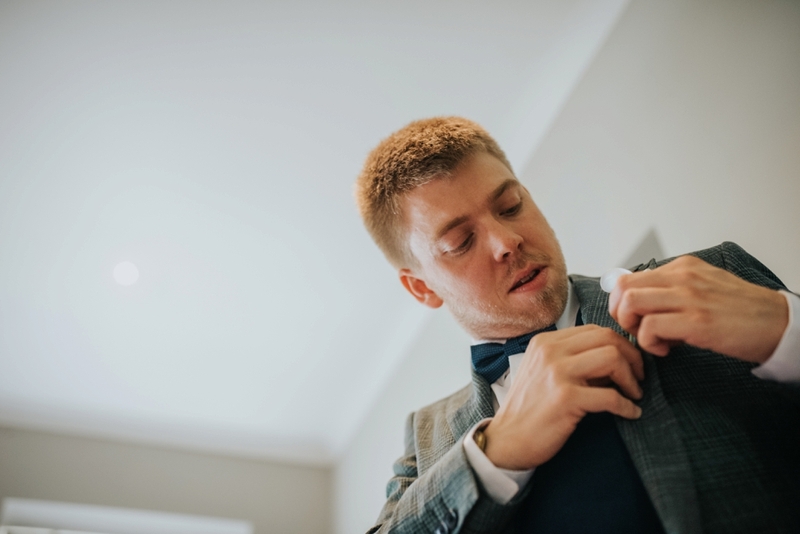 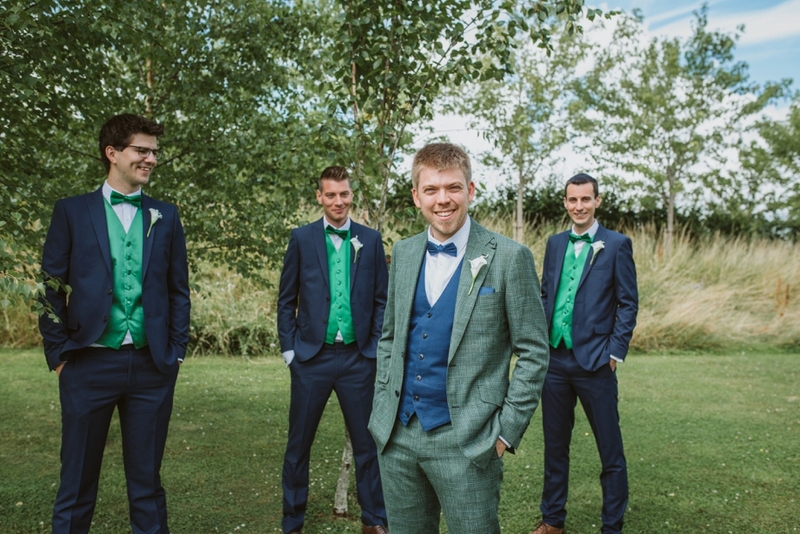 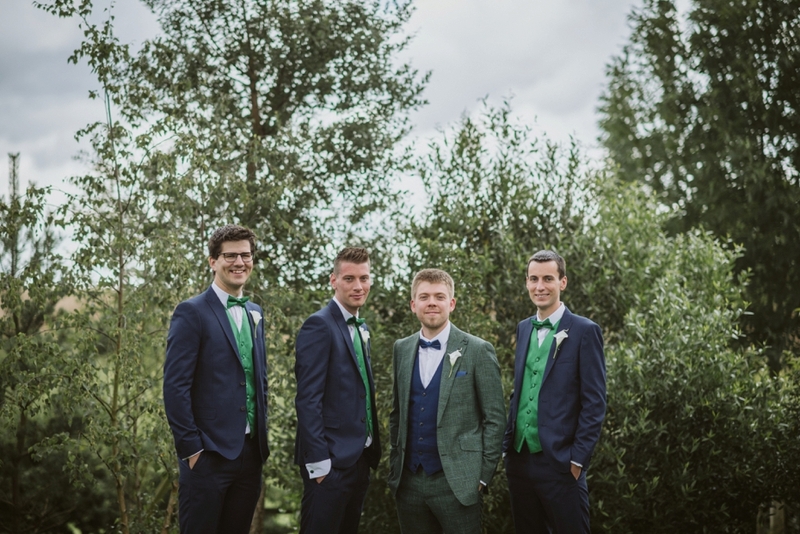 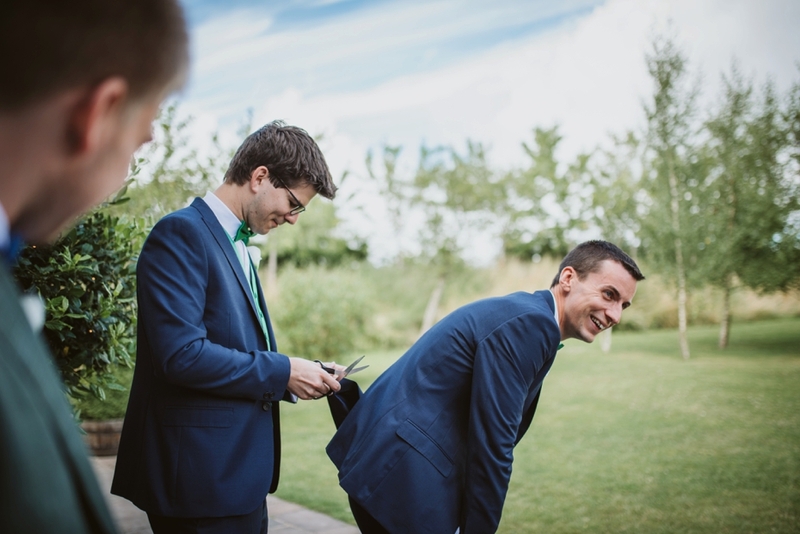 Luke and the guys got ready at The Wheatsheath inn in Northleach before heading off to Stone barn. 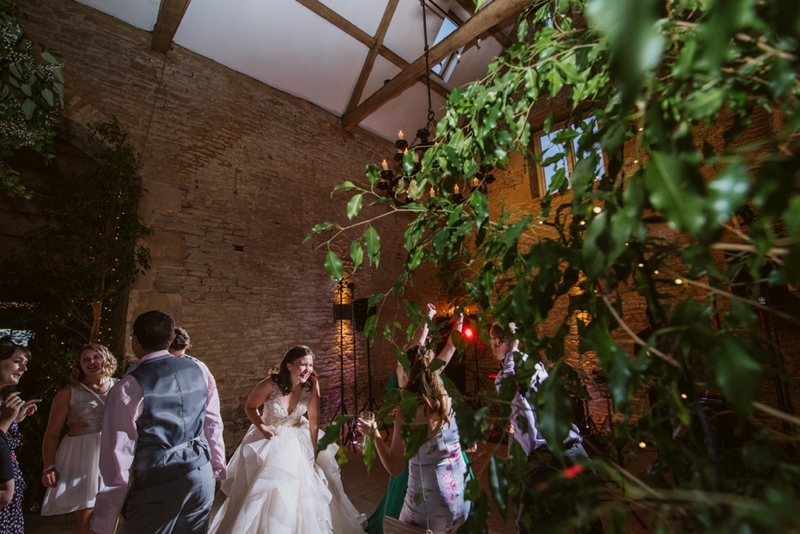 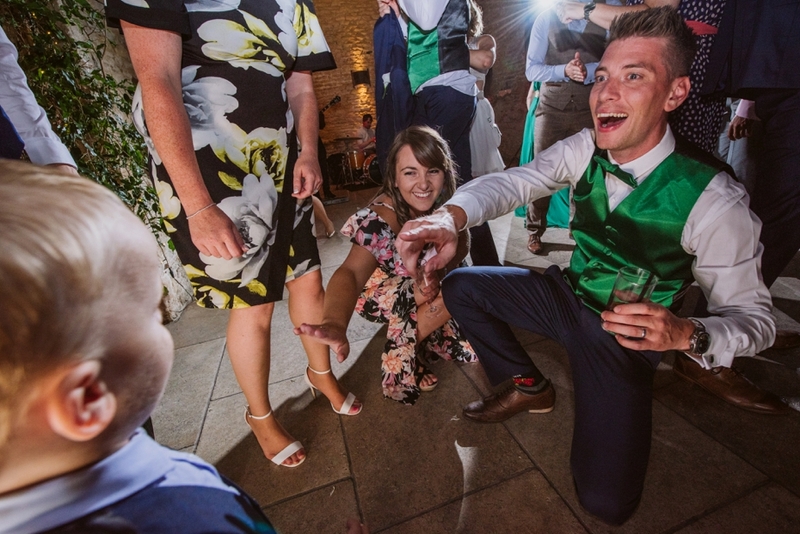 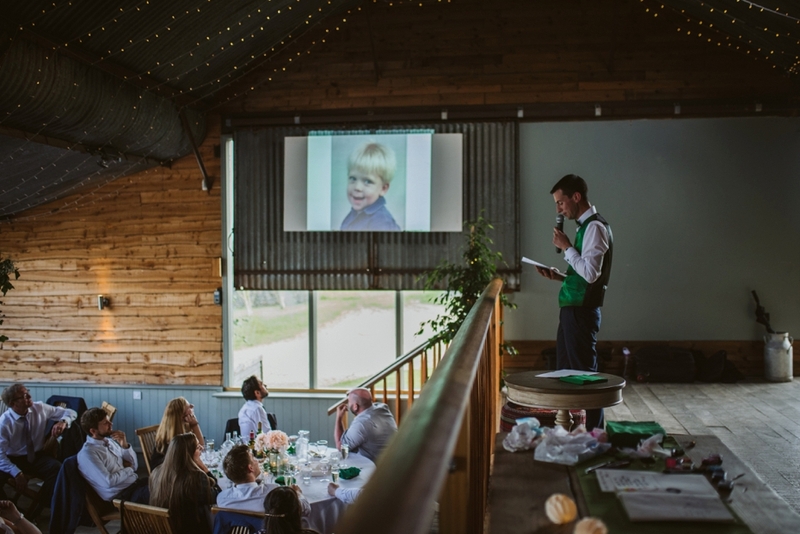 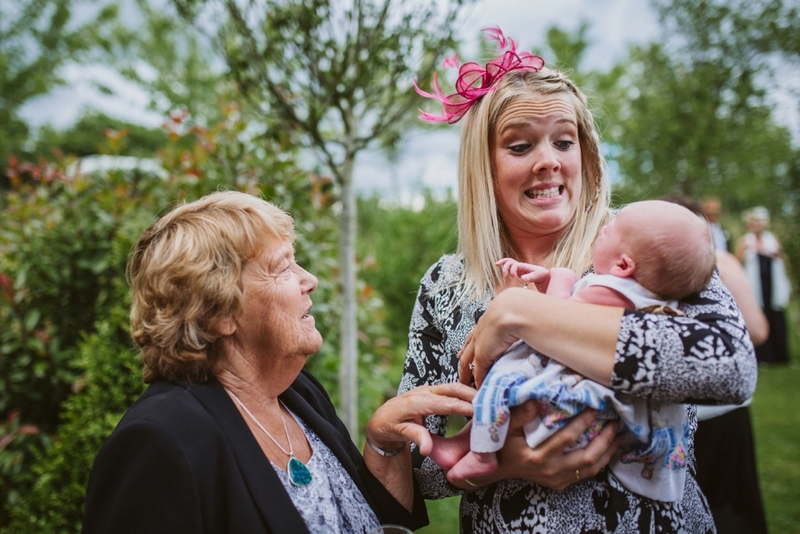 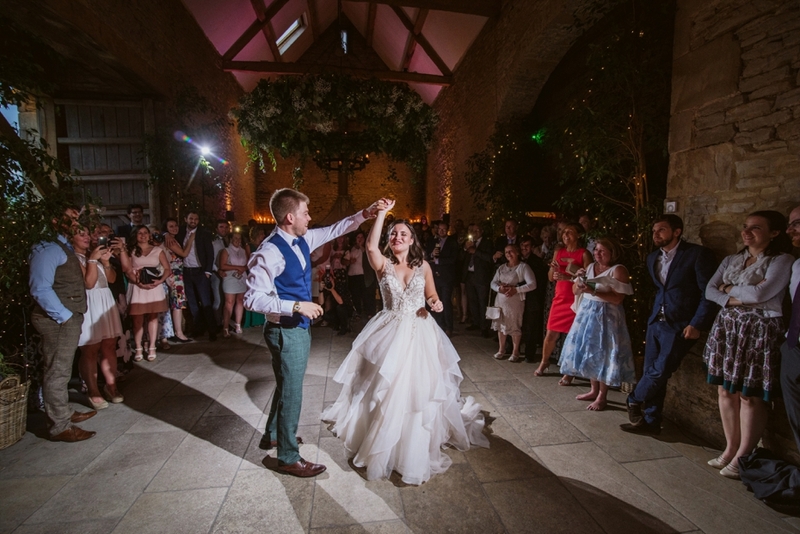 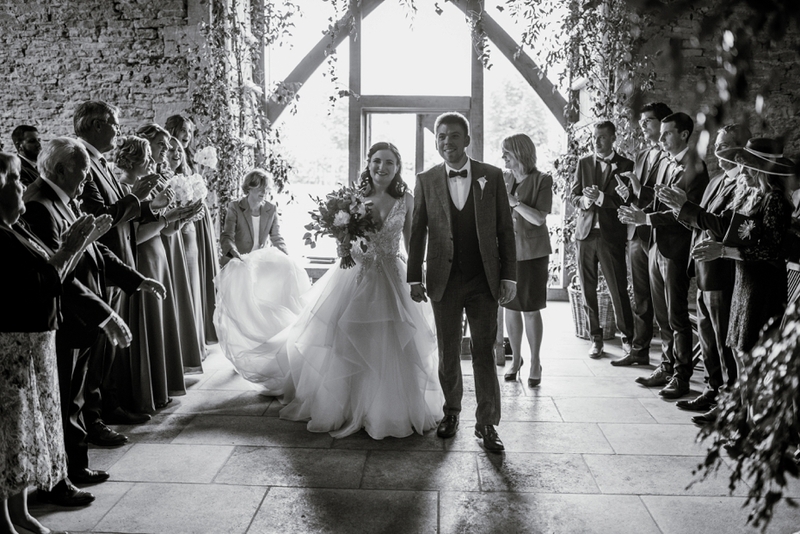 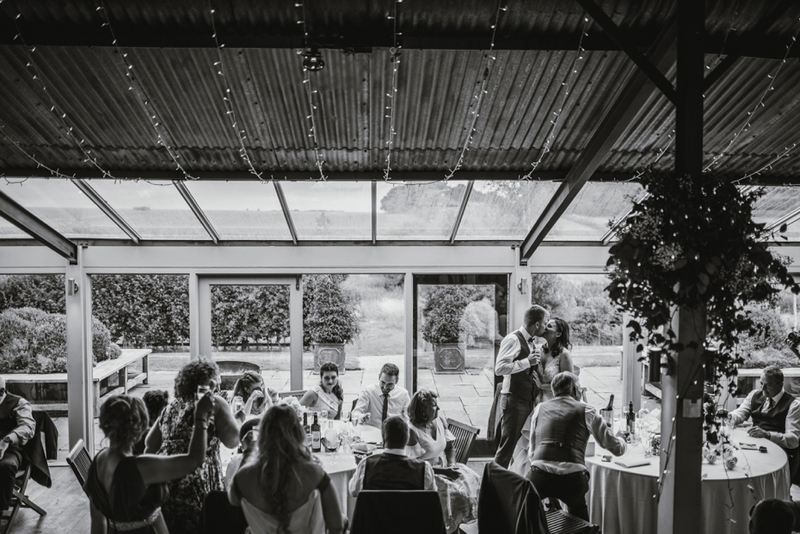 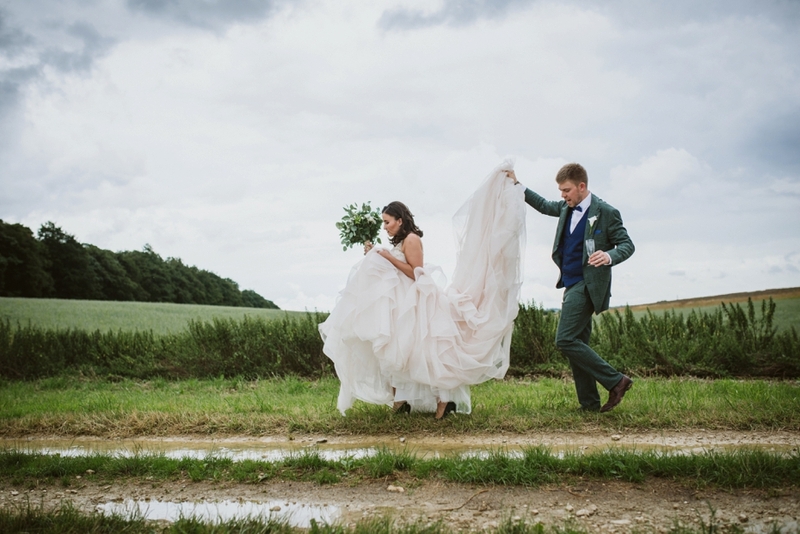 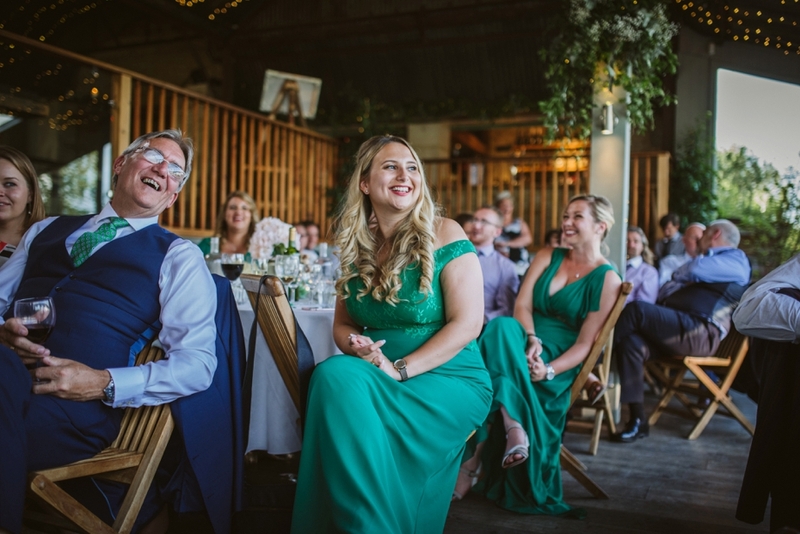 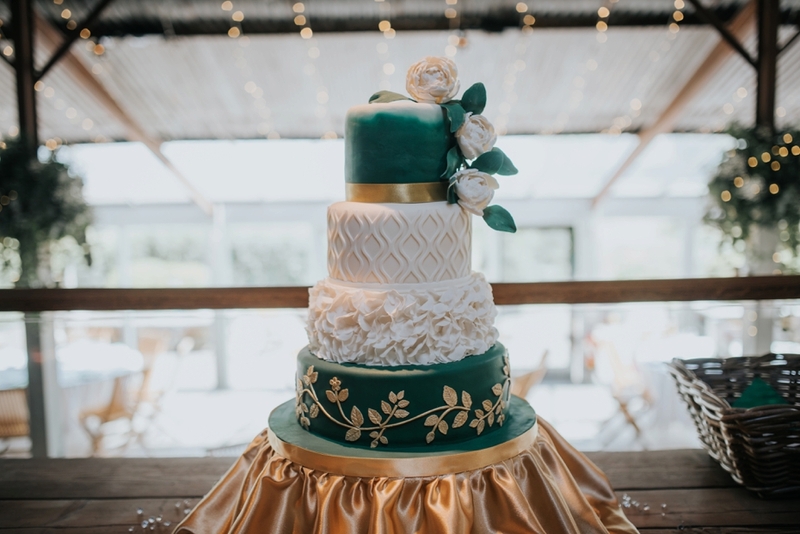 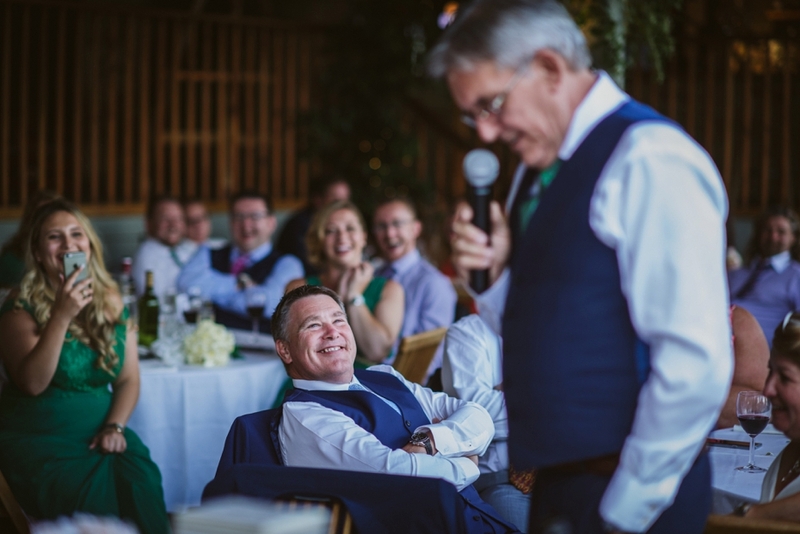 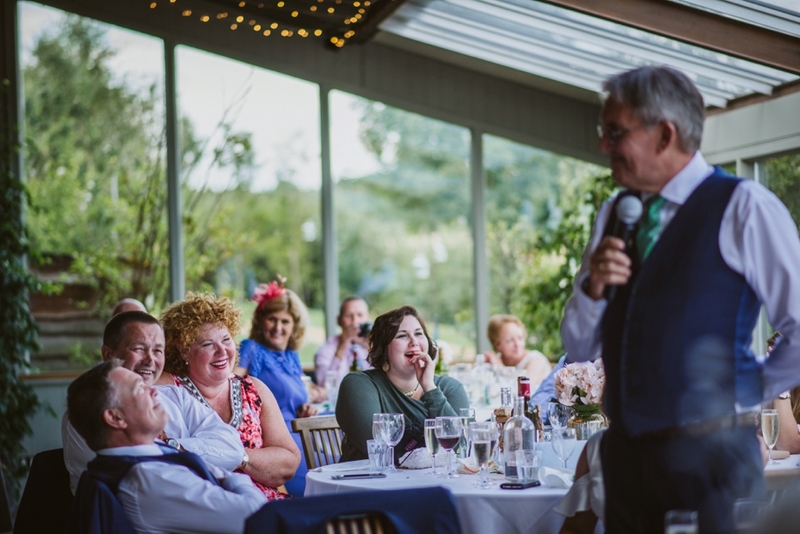 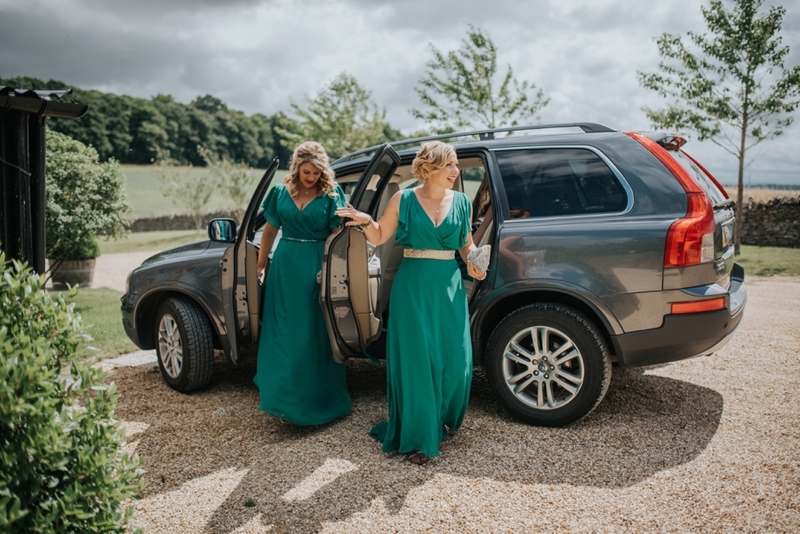 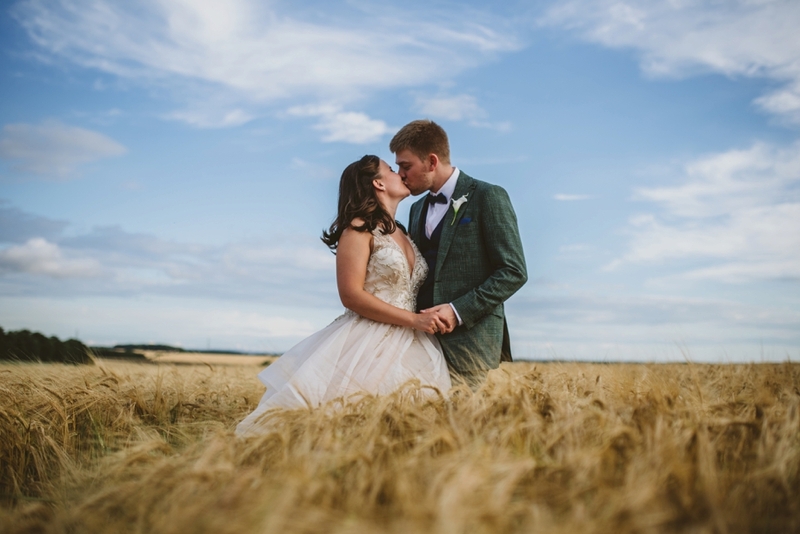 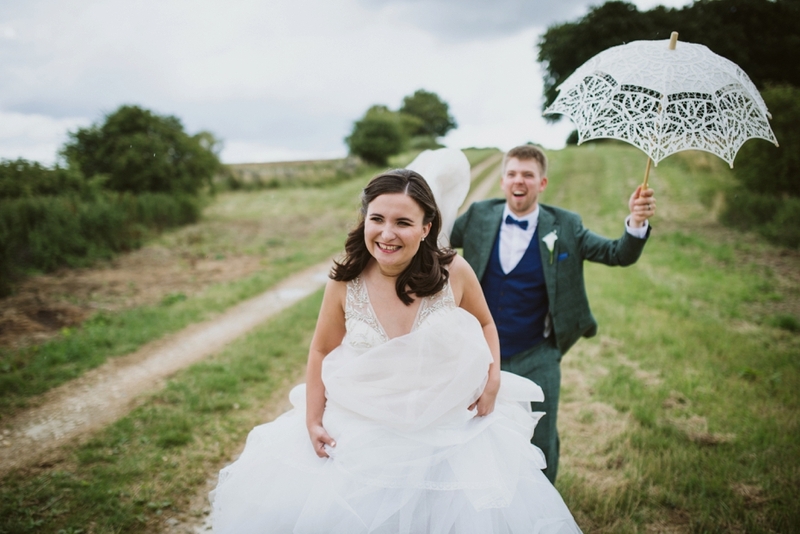 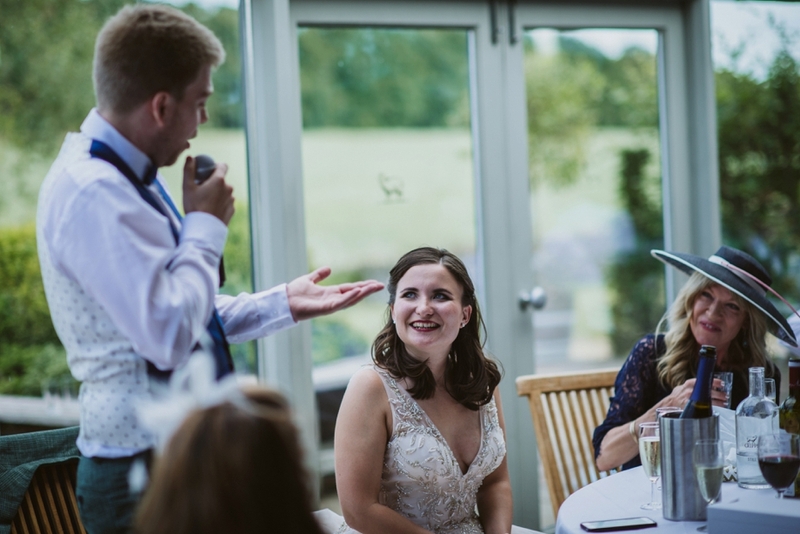 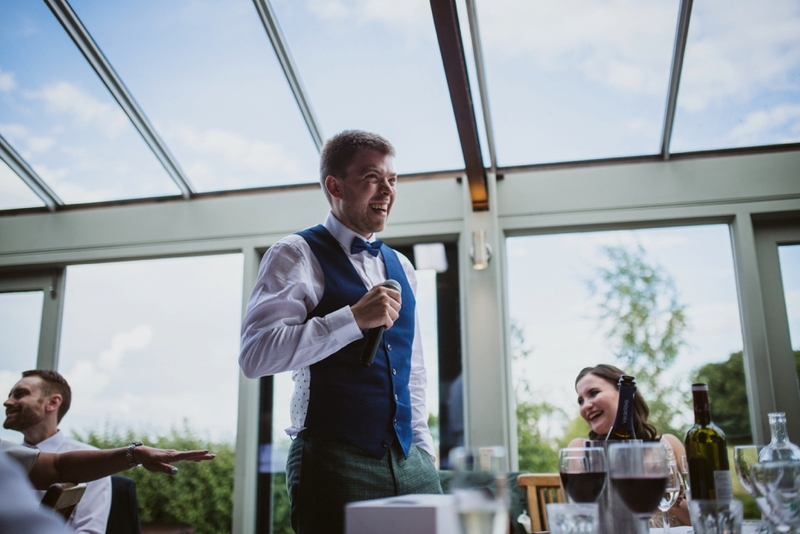 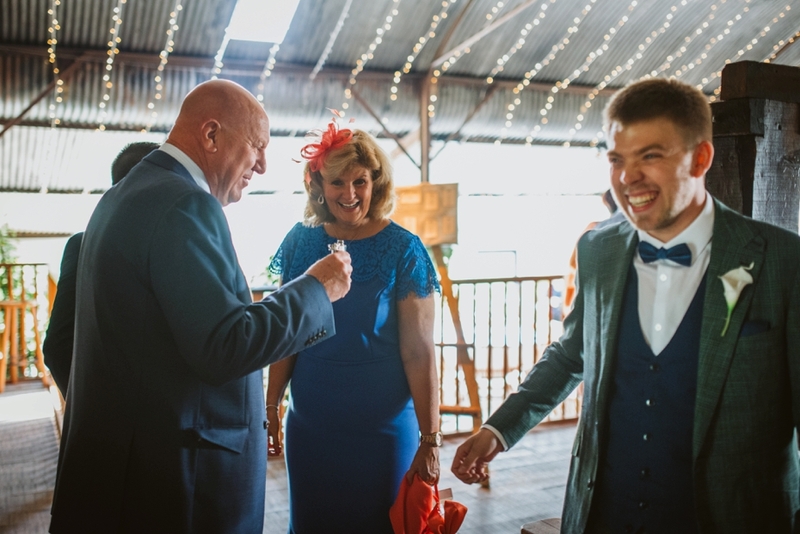 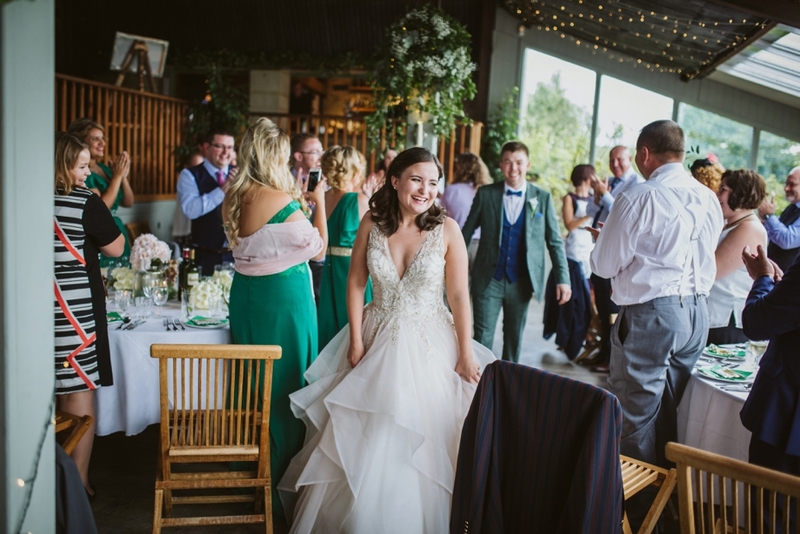 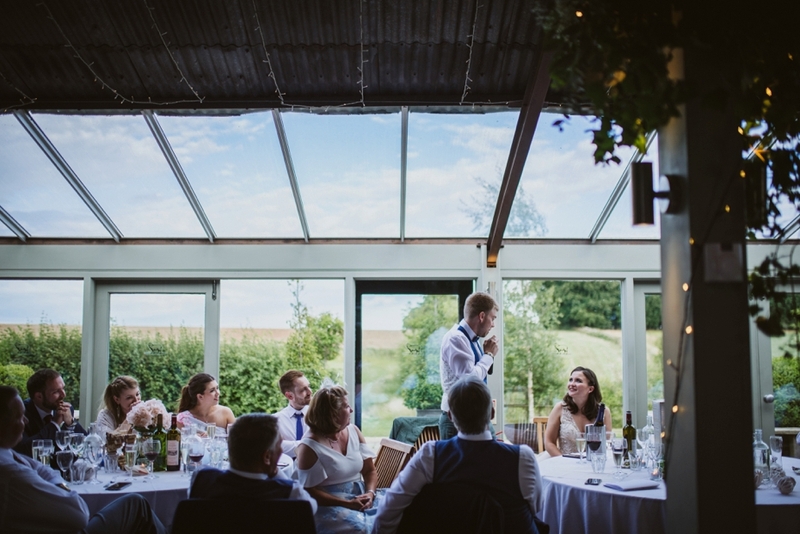 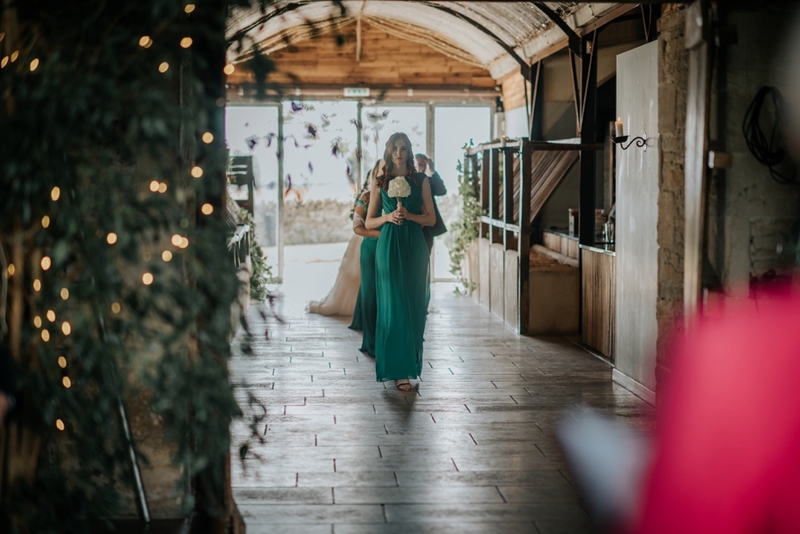 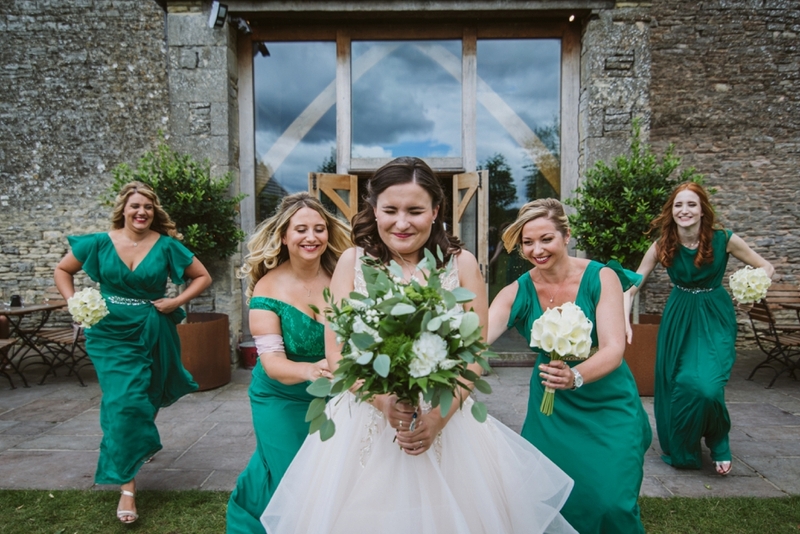 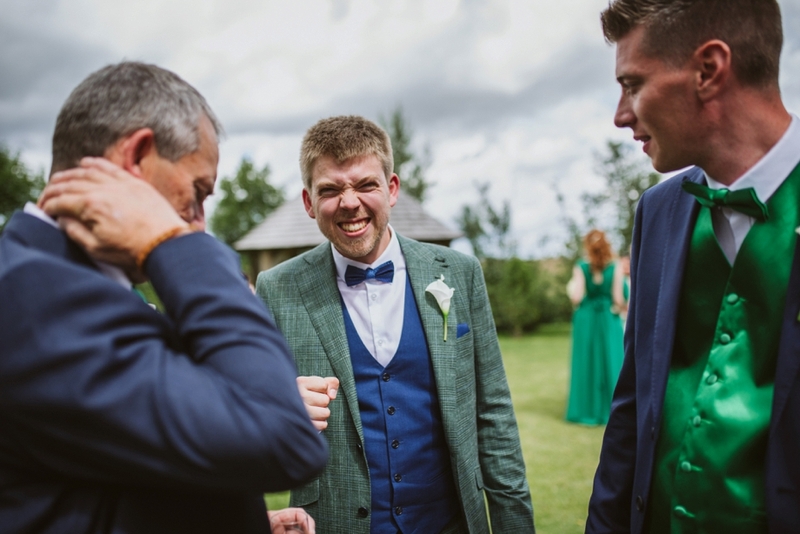 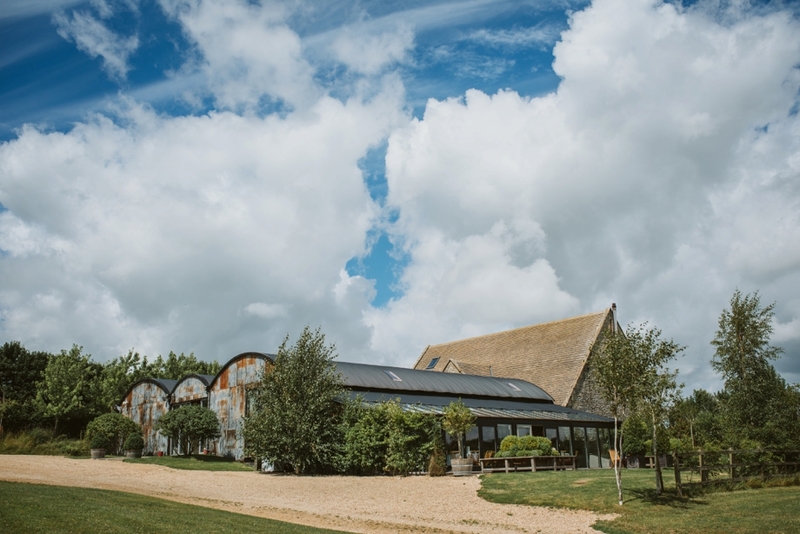 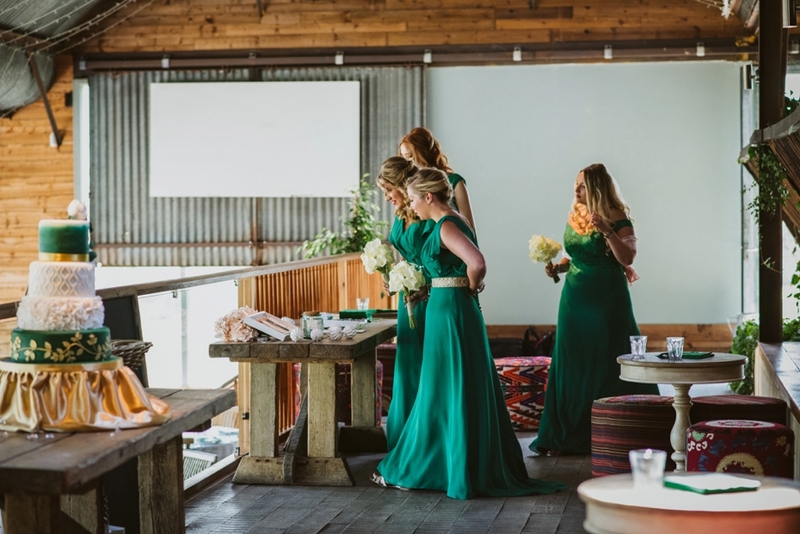 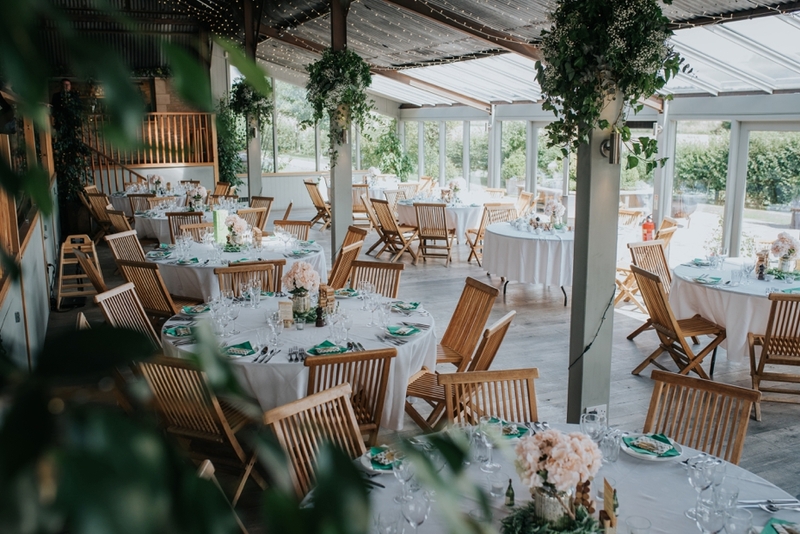 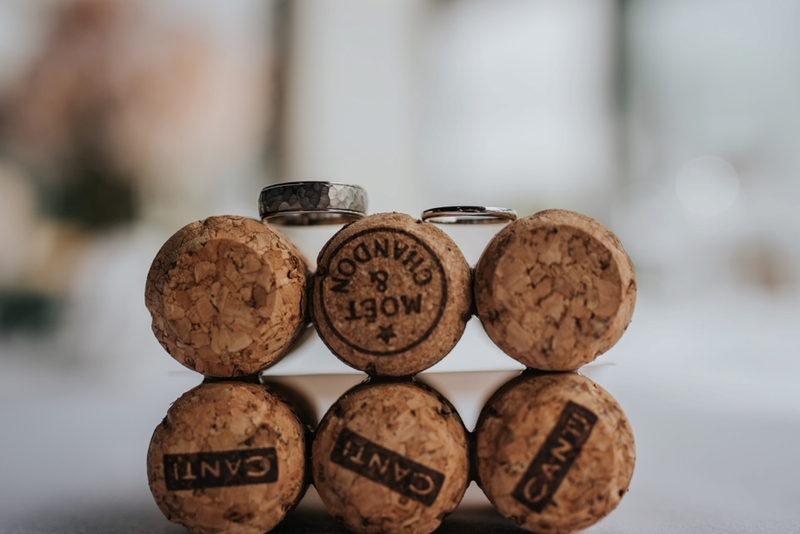 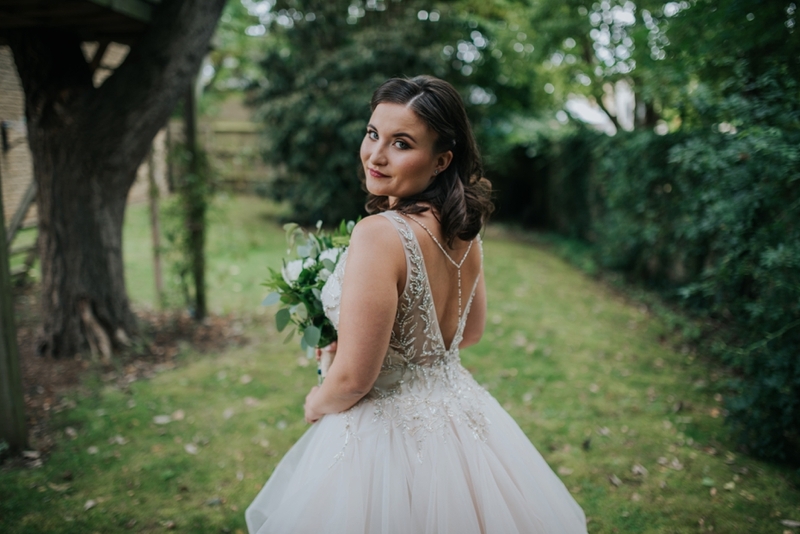 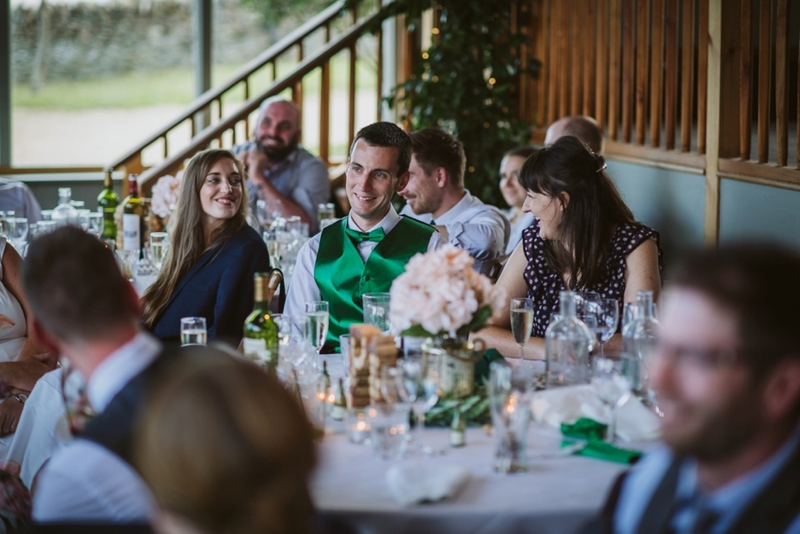 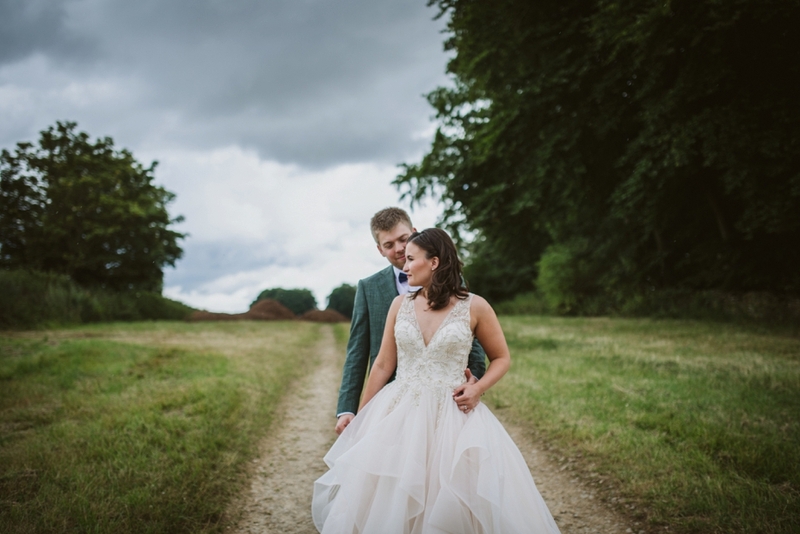 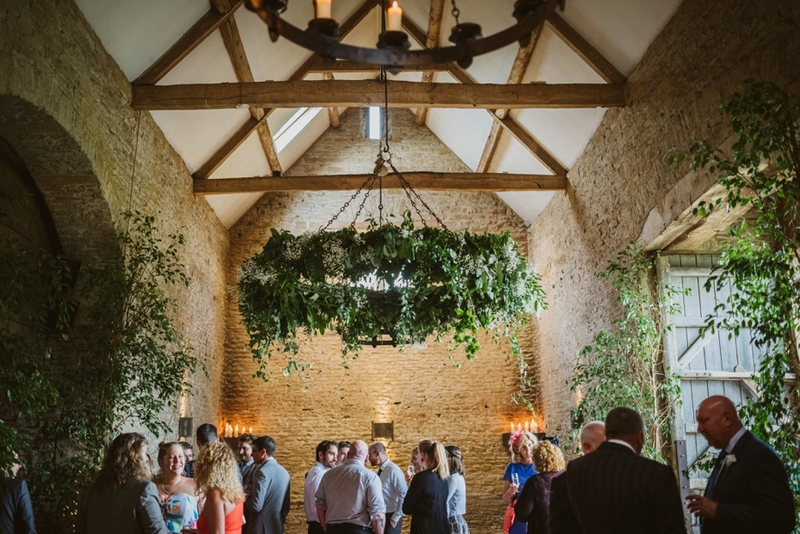 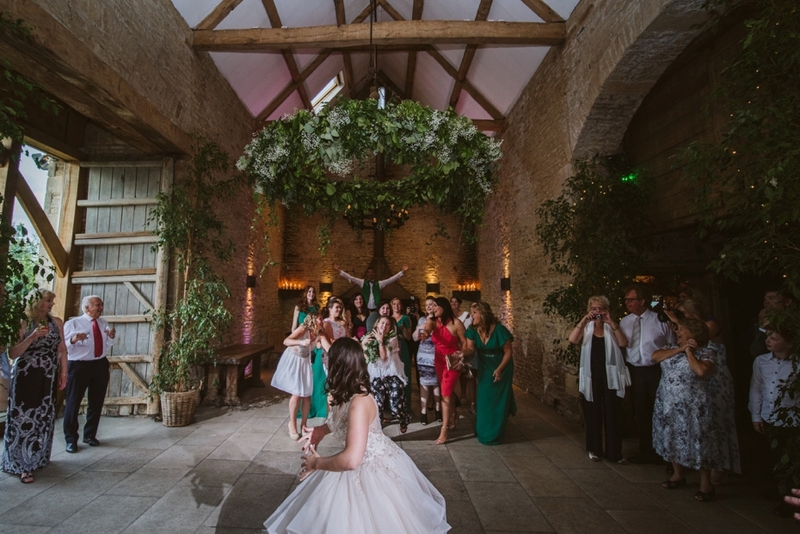 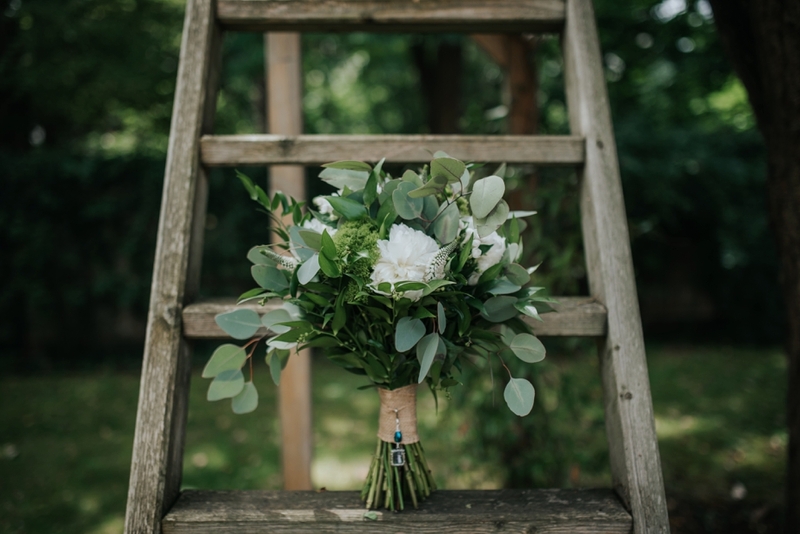 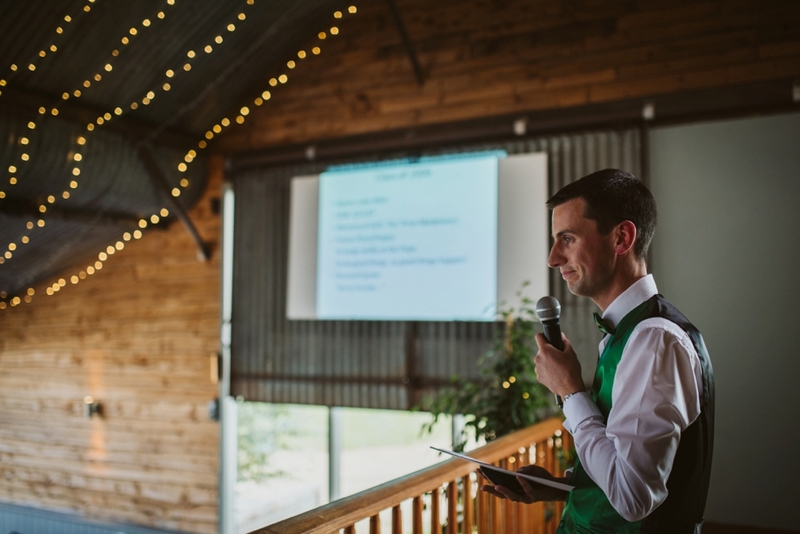 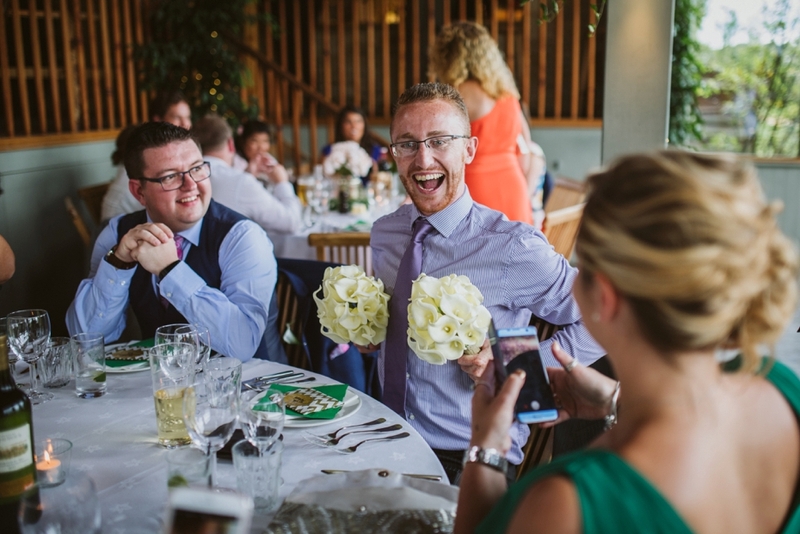 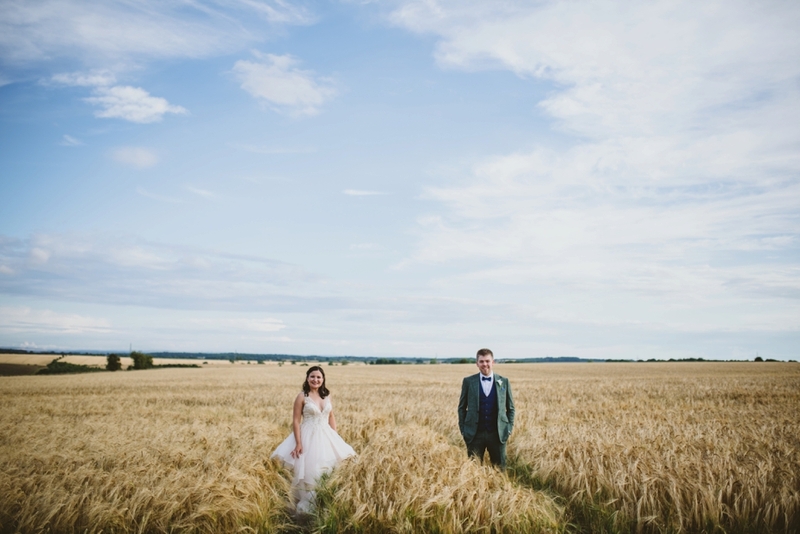 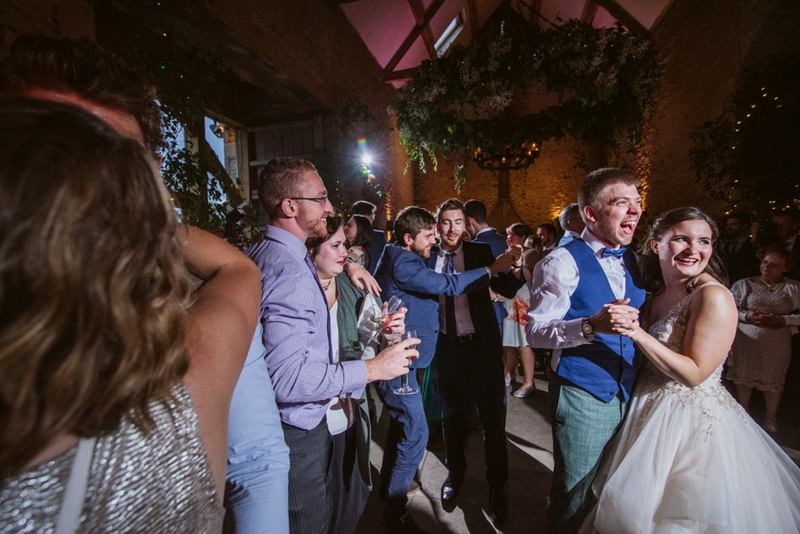 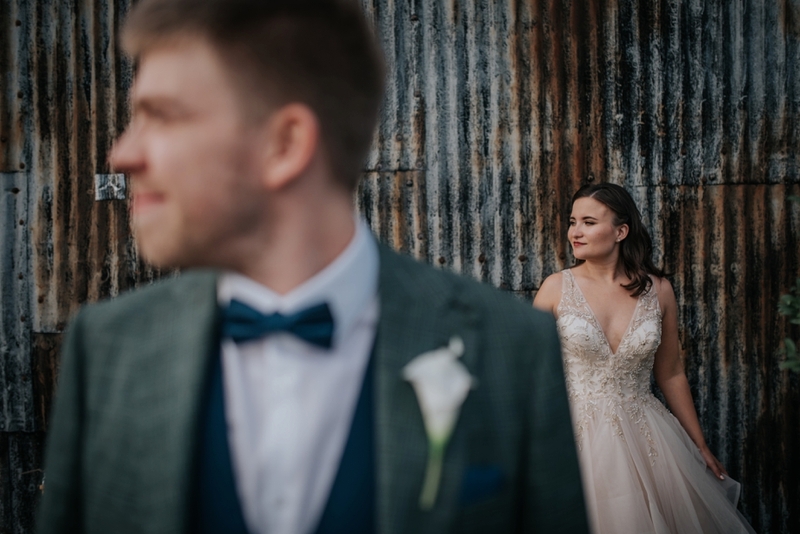 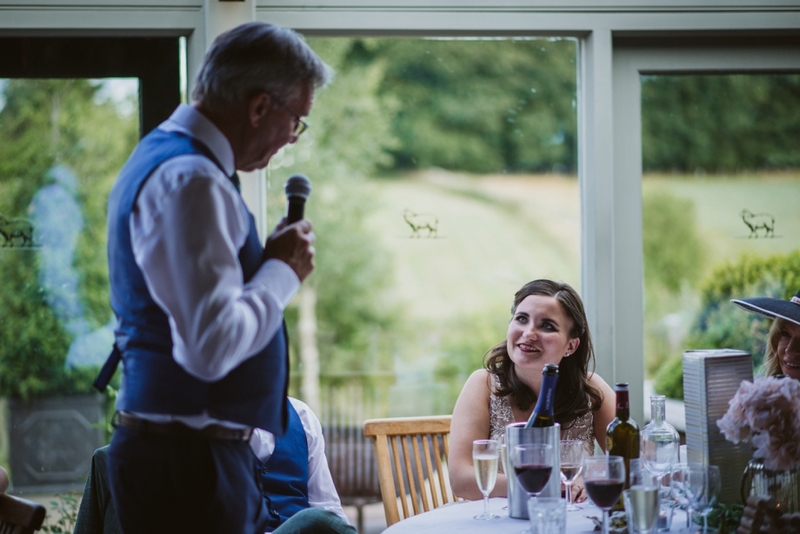 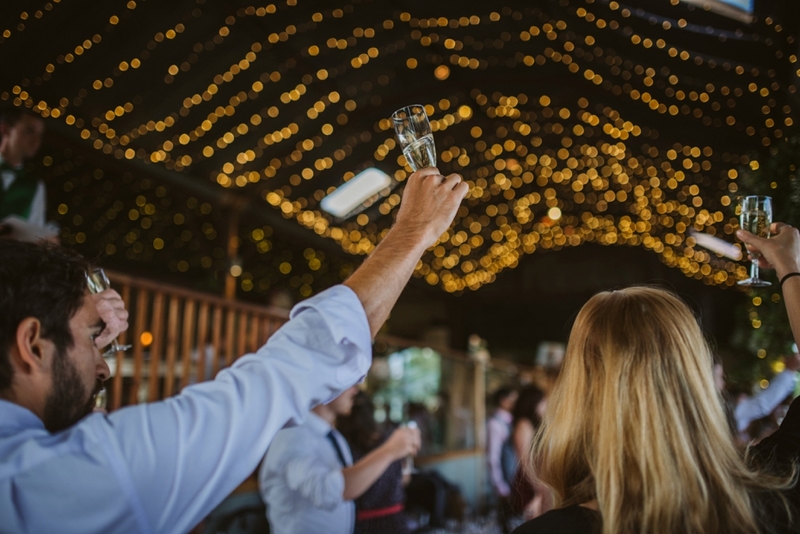 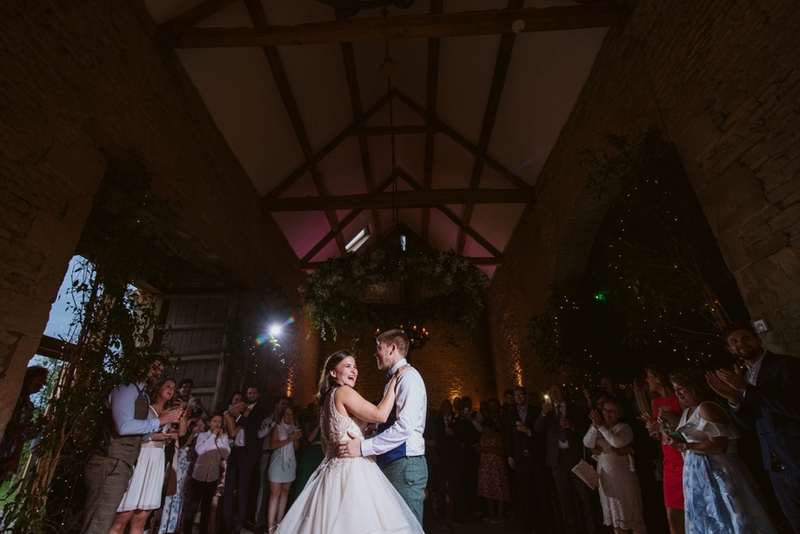 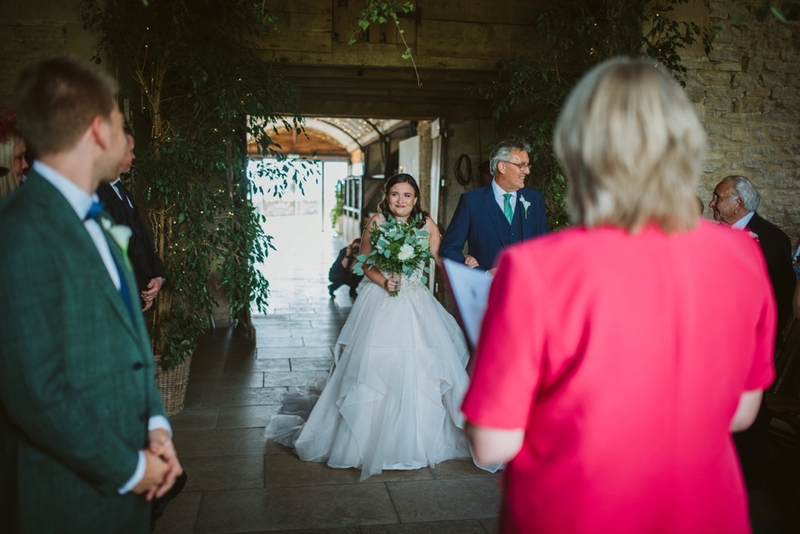 Cripps Stone barn really is a super wedding venue and certainly one of the nicest I’ve seen, it also has the added bonus of being situated in some stunning countryside. 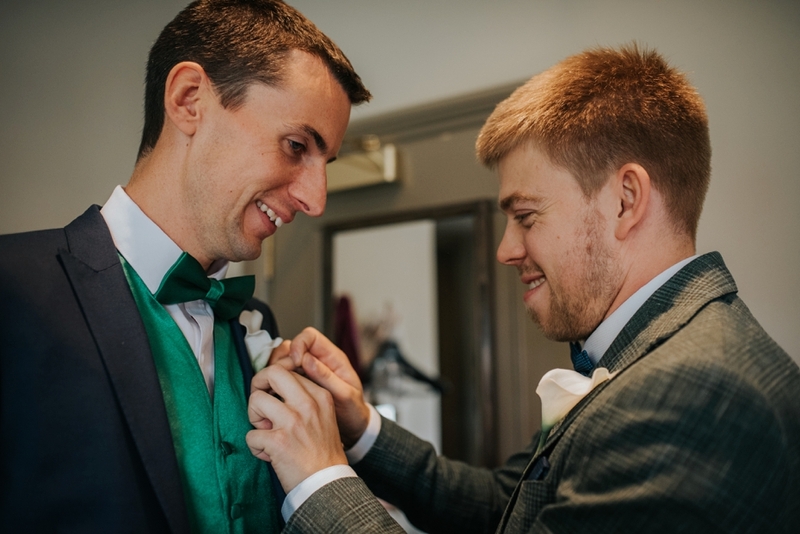 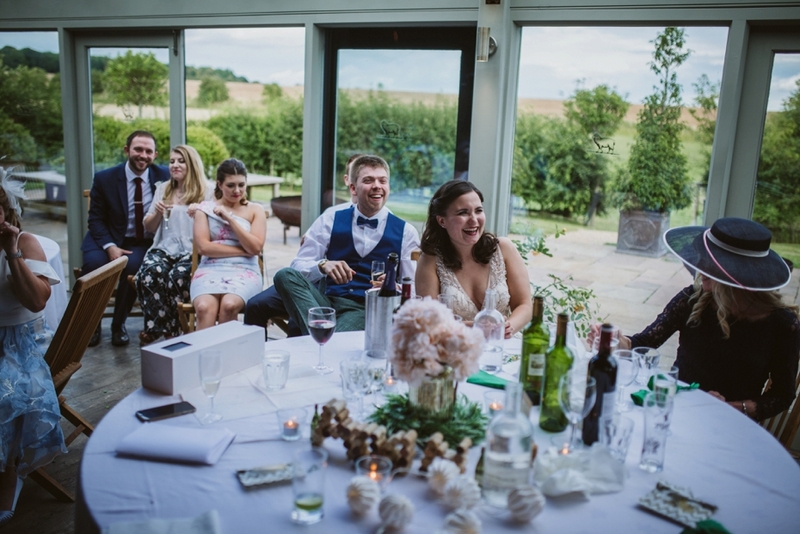 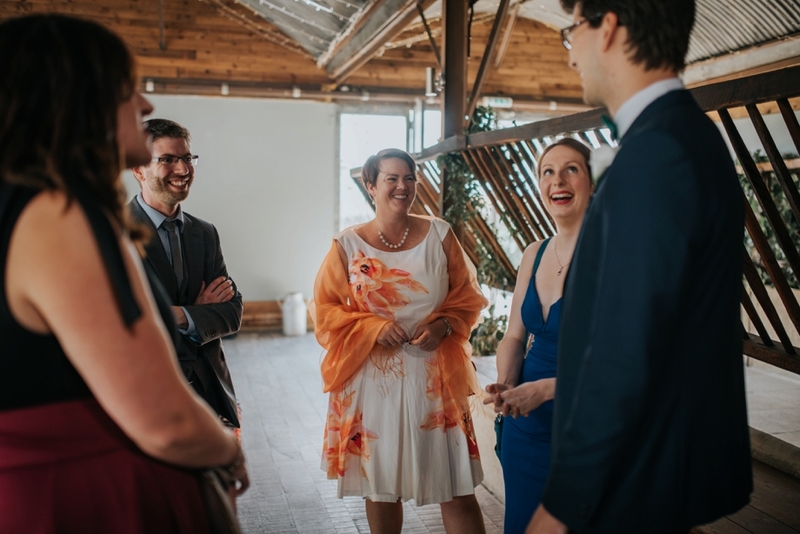 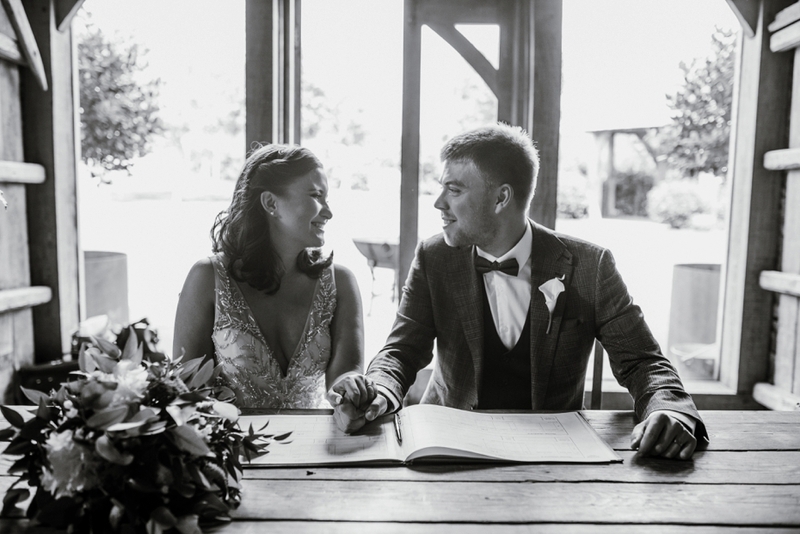 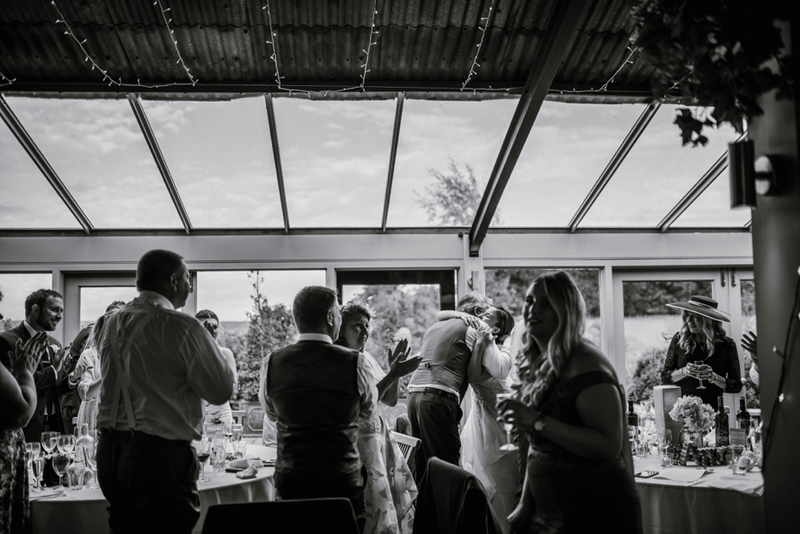 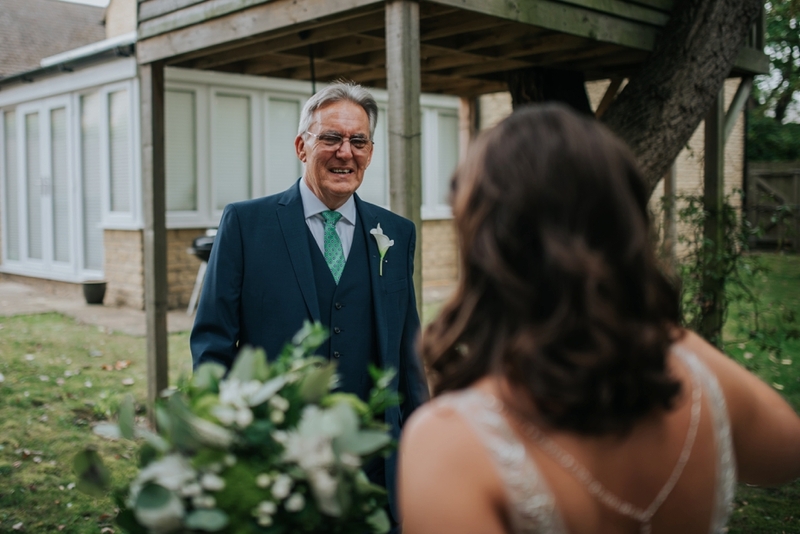 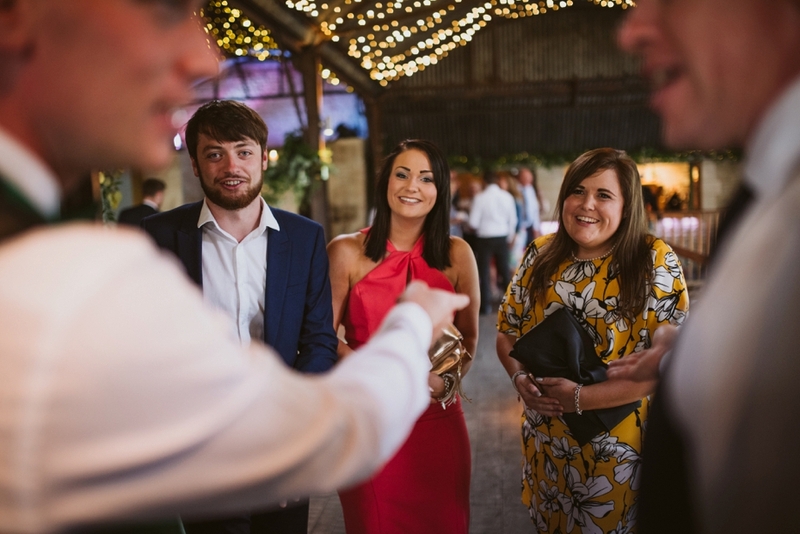 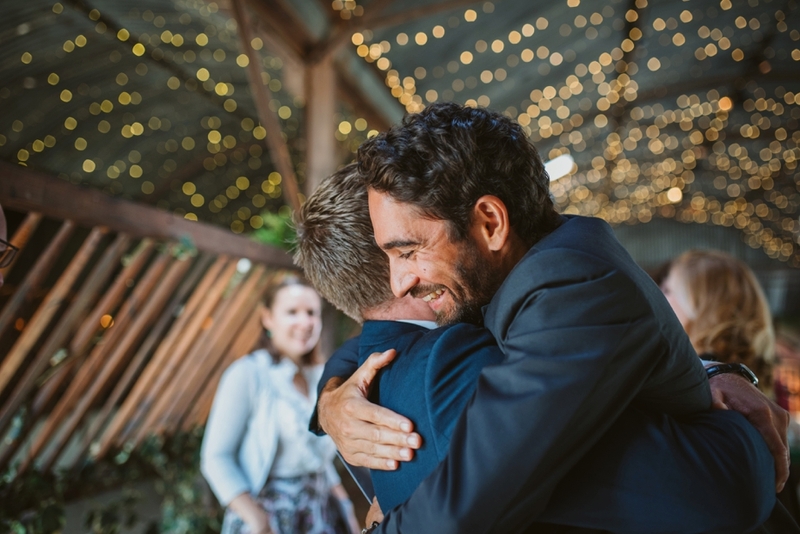 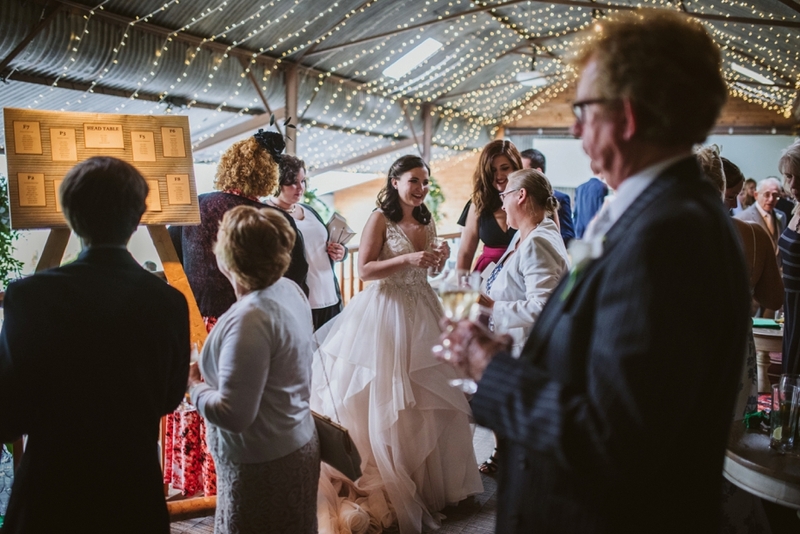 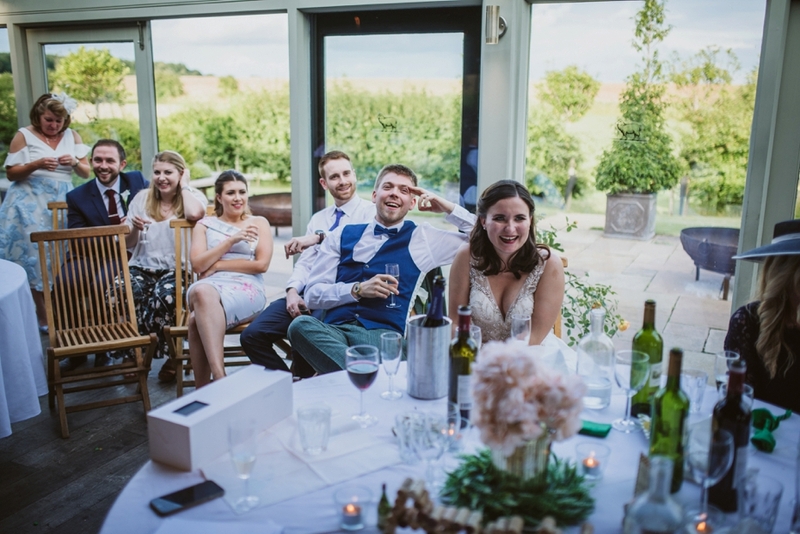 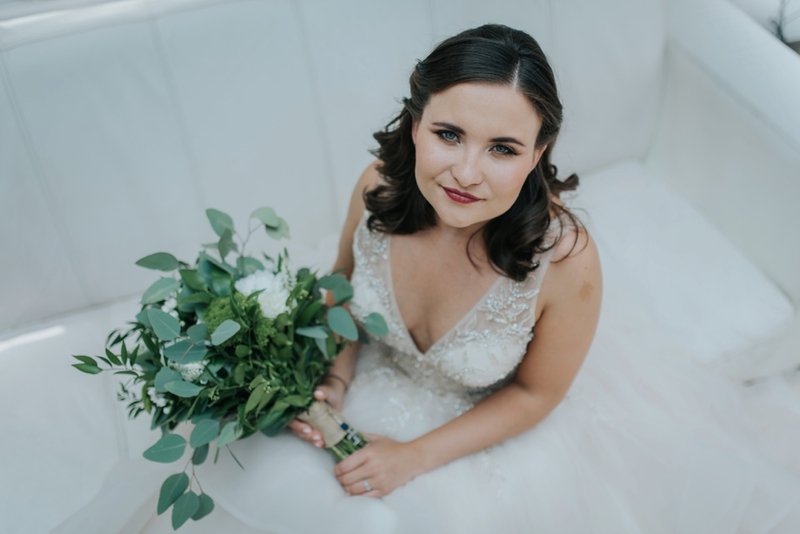 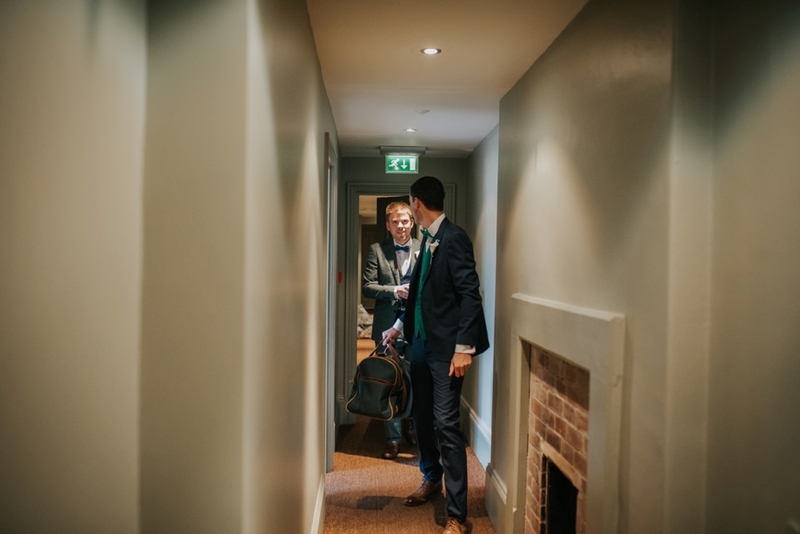 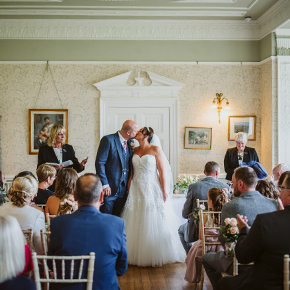 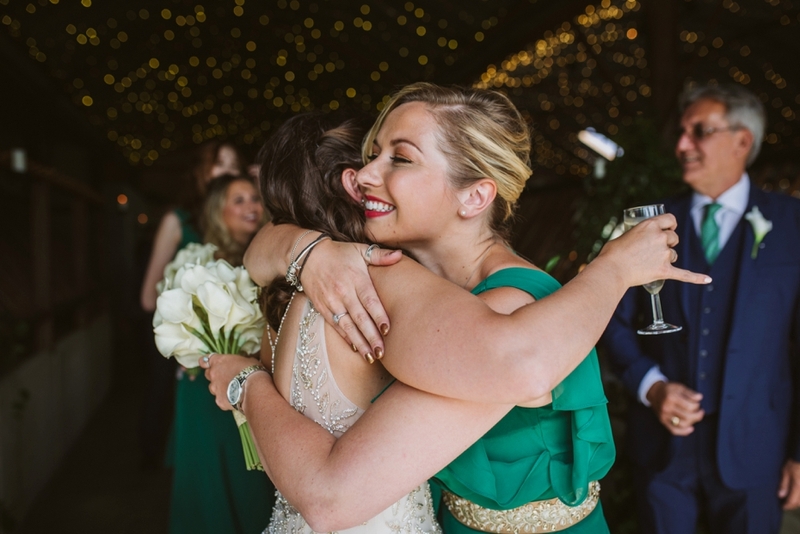 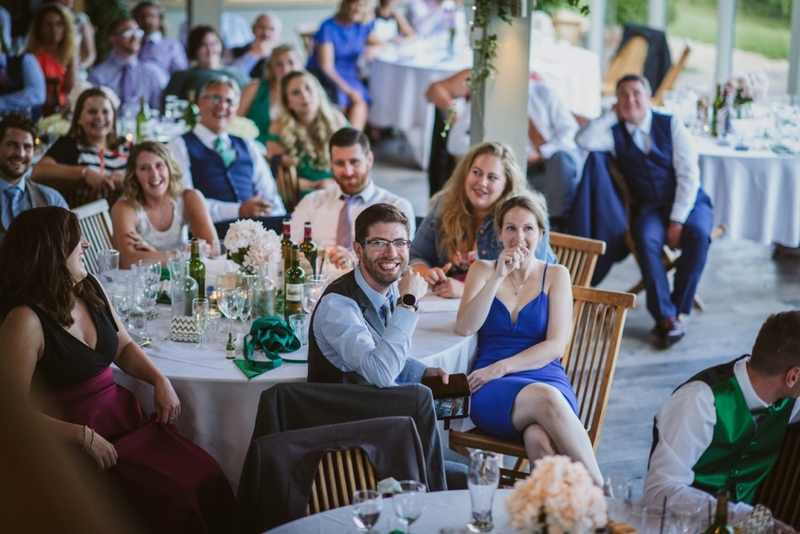 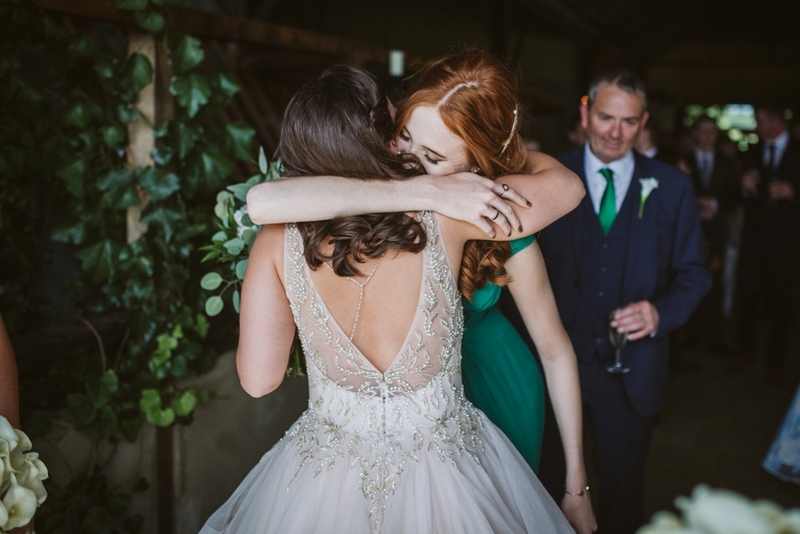 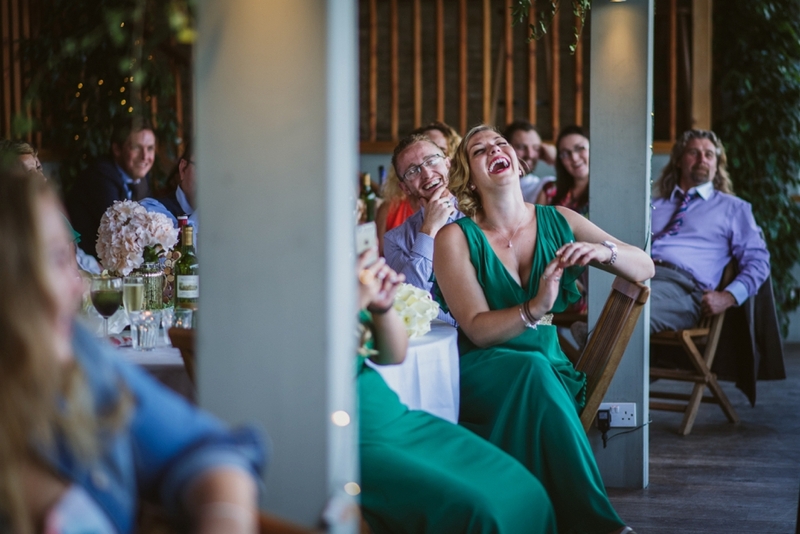 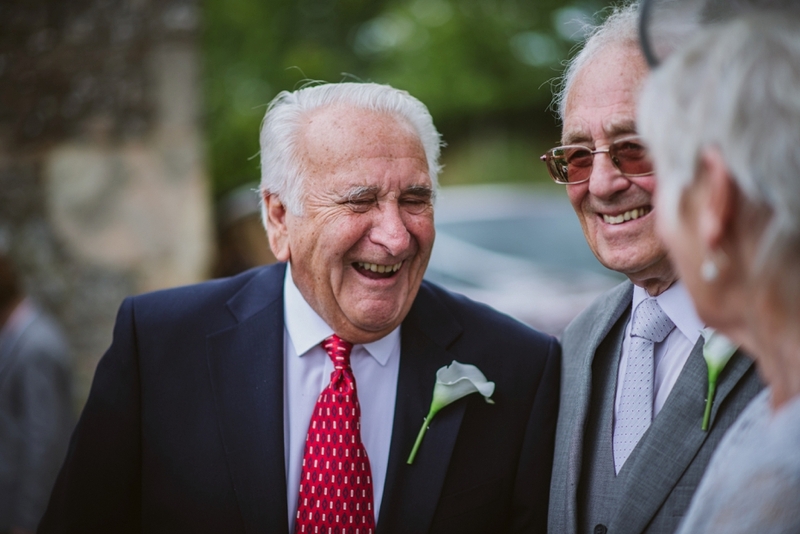 After a beautiful ceremony filled with love and laughter and a few tears, Steph and Luke exited the ceremony room to have a little mingle with their guests. 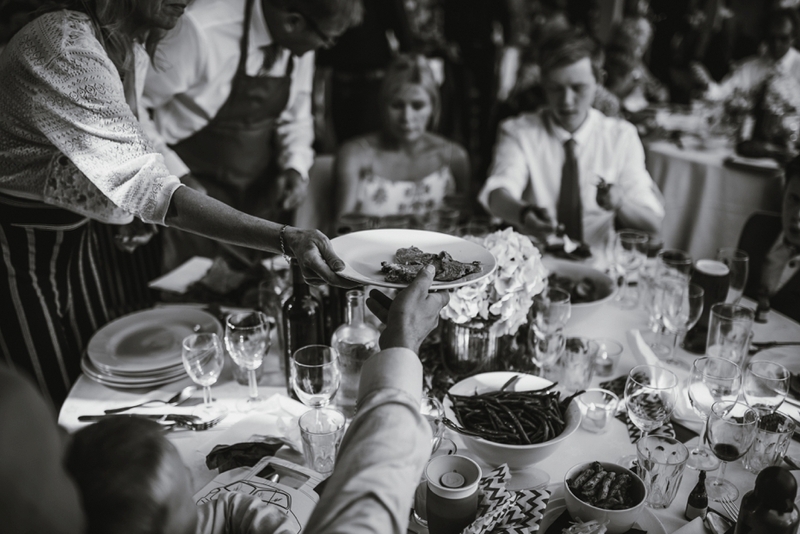 Some drinks and great food cooked on the biggest indoor grill in Europe followed. 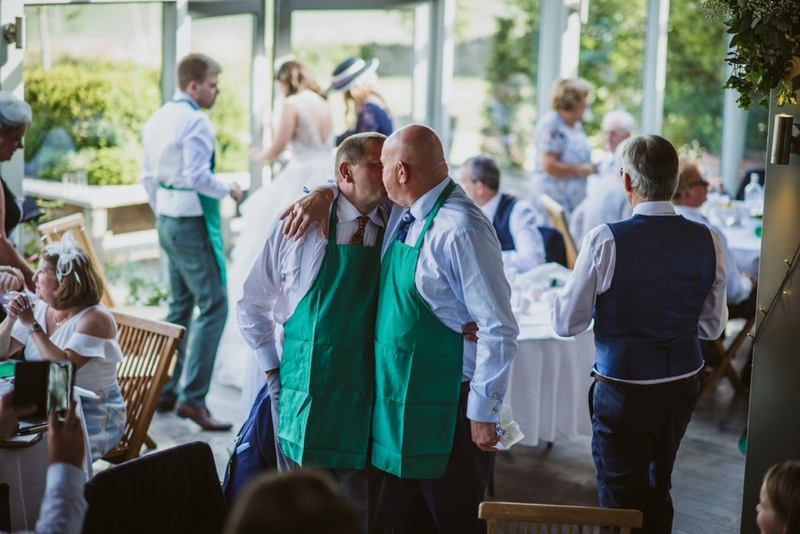 One guest from each table had been nominated to put on an apron and carve the meat for the table. 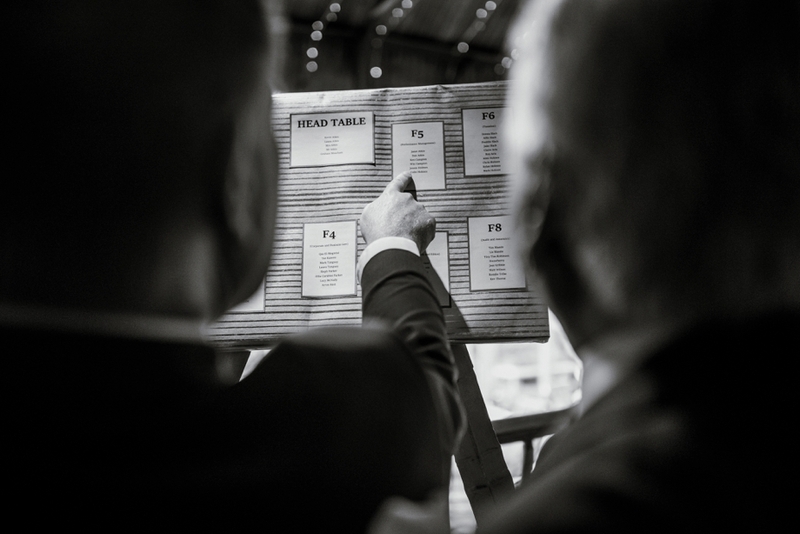 A great idea, and certainly made for some fun and brought the table guests together. 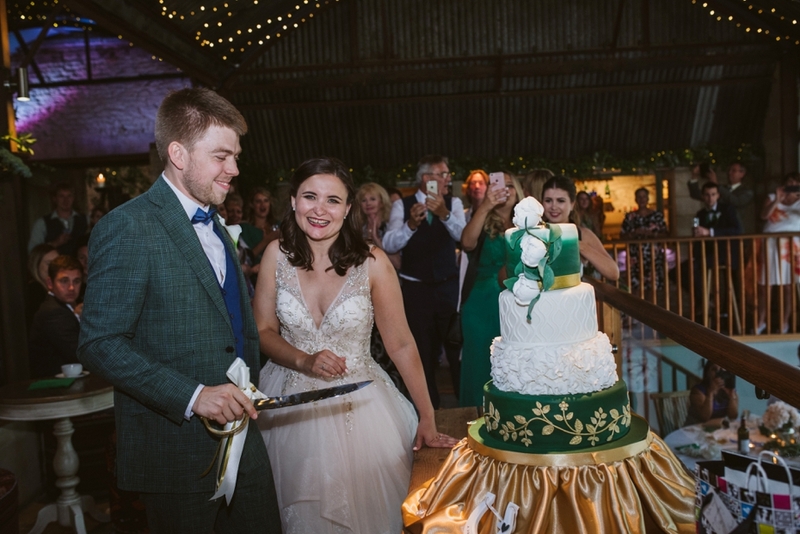 After some great speeches it was time to cut the cake and dance the night away. 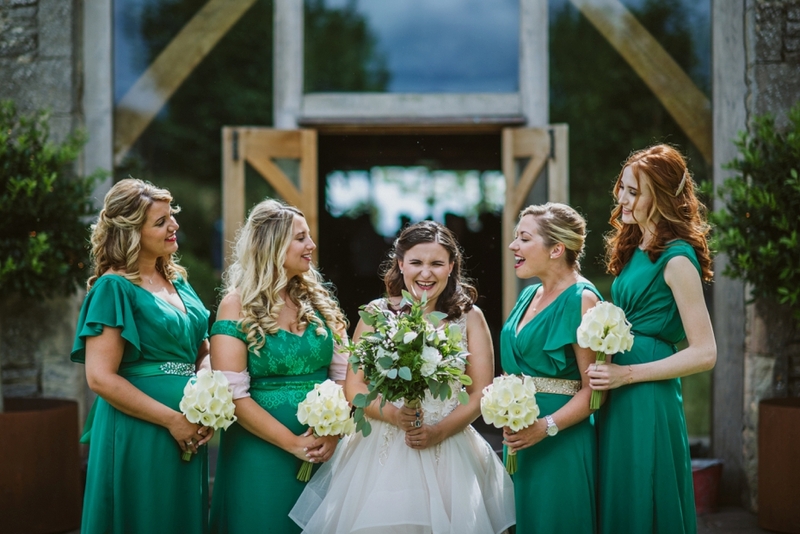 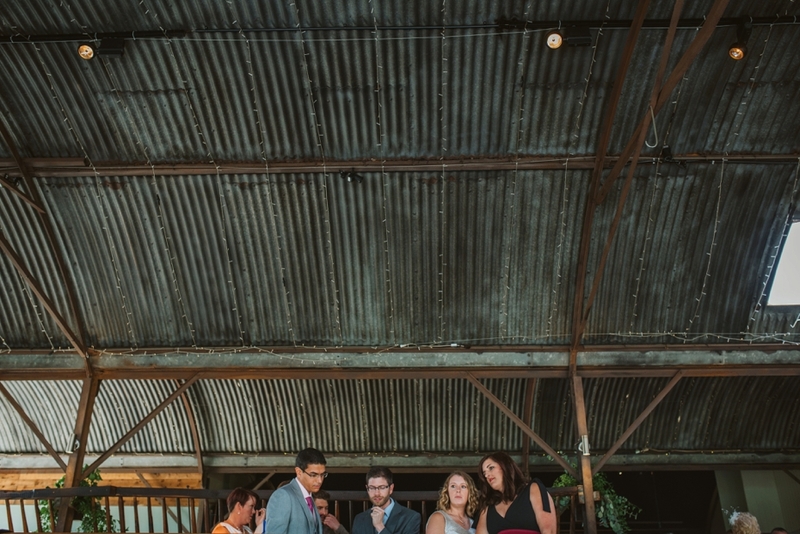 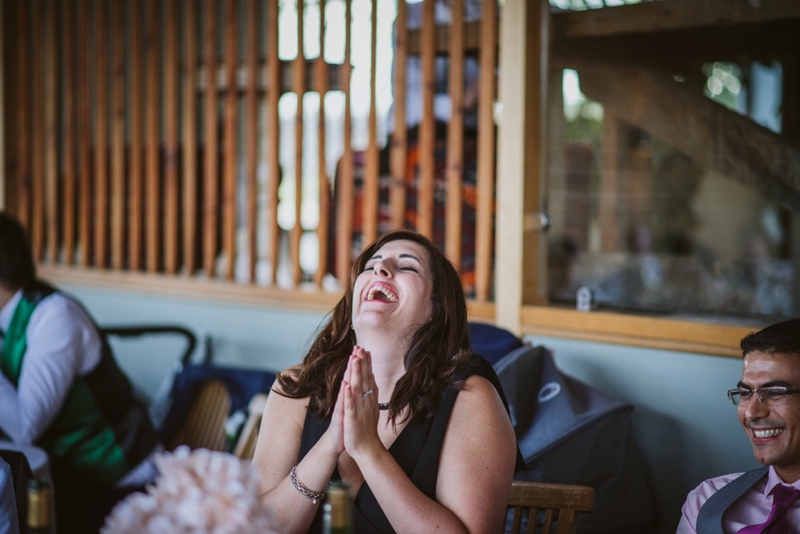 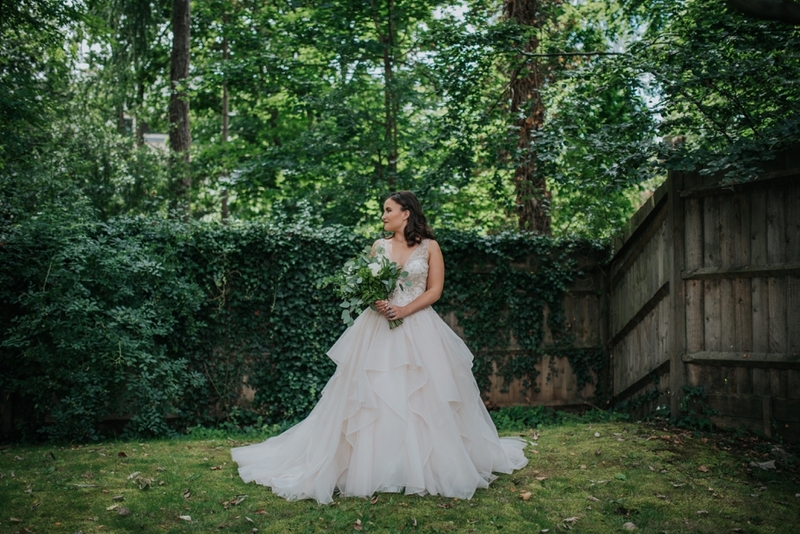 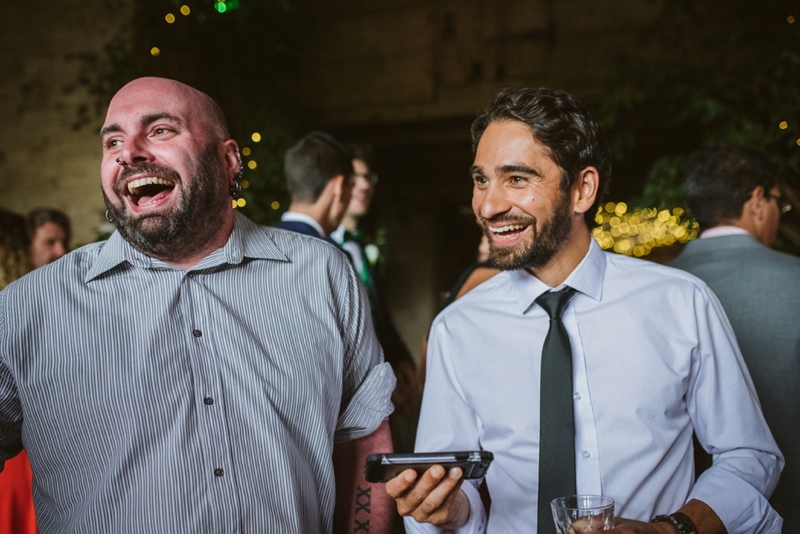 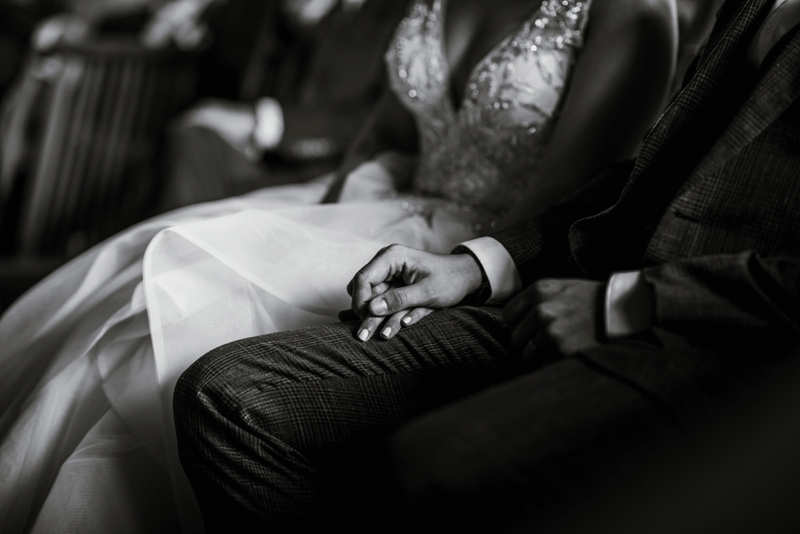 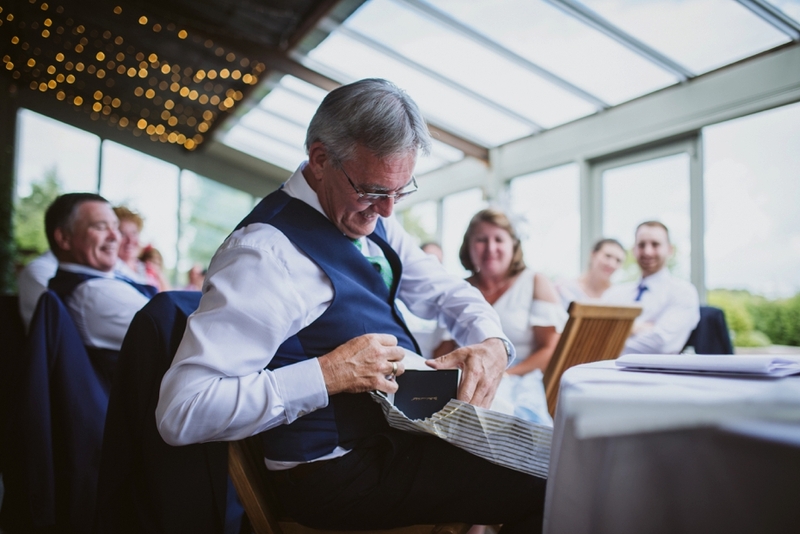 I had so much fun capturing all the great moments at Steph and Luke’s wedding.